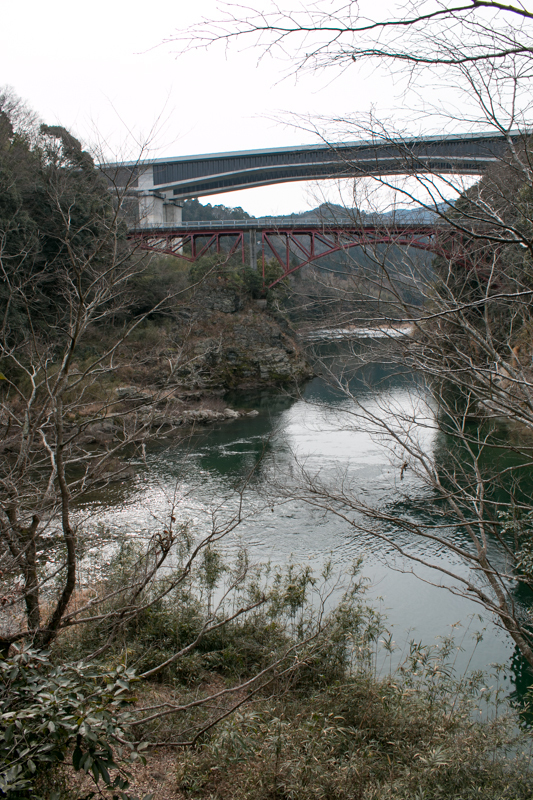 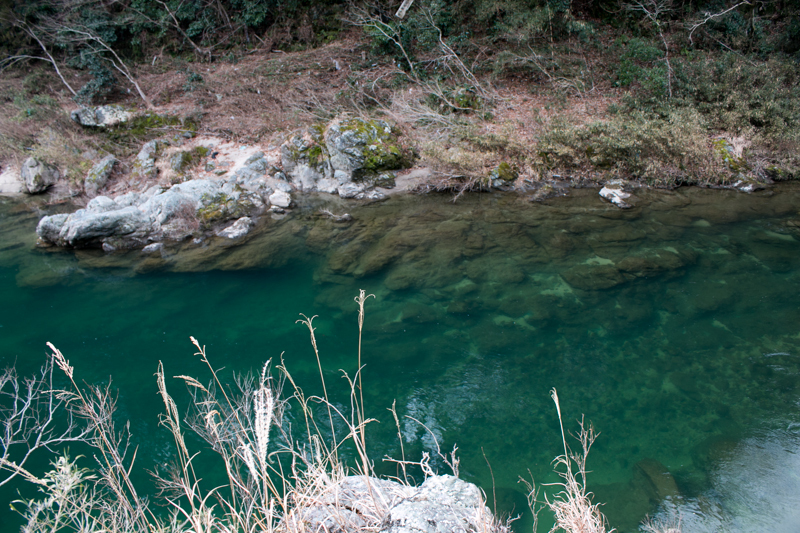 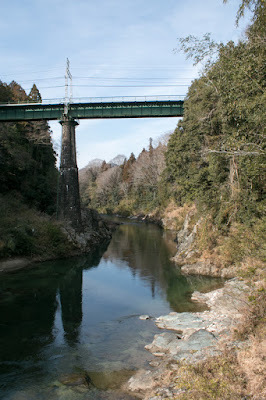 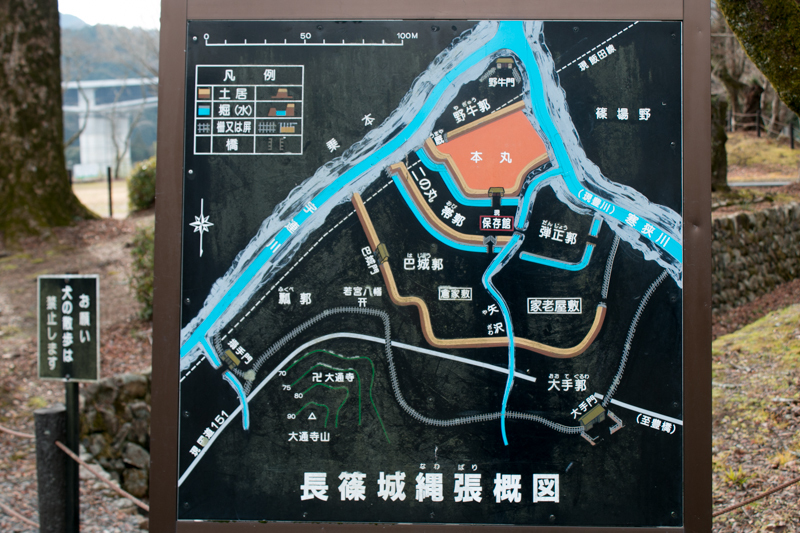 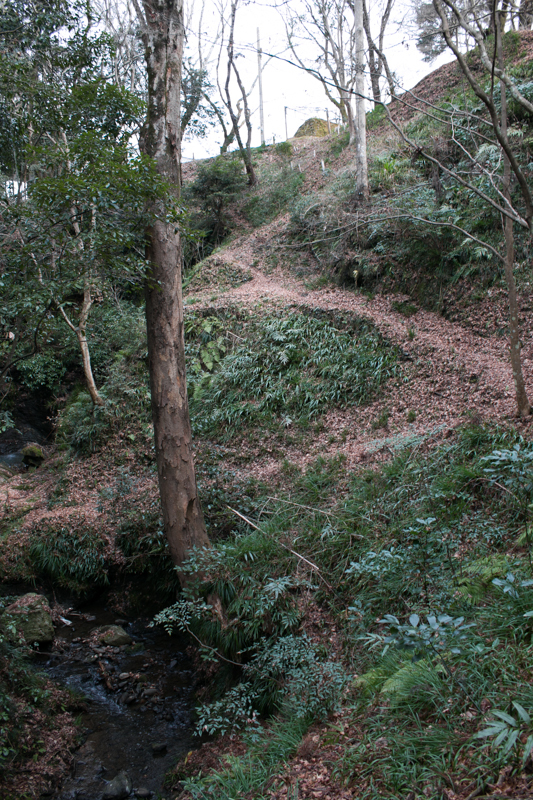 Nagashino castle (長篠城) is placed at a cliff facing meeting point of Kansagawa river (current Toyokawa river) and Uregawa river, in the northeast of Shinsiro city. 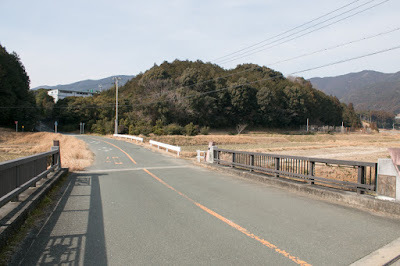 Nagashino area is a crossing point of road connecting Toyohashi city at eastern Mikawa province (eastern part of Aichi prefecture) to Iida city at south edge of Shinano province (Nagano prefecture), and the one connecting Hamamatsu city at Totomi province (western part of Shizuoka prefecture) and Iwamura city at eastern area of Mino province (Gifu prefecture), thus an important place of communication. 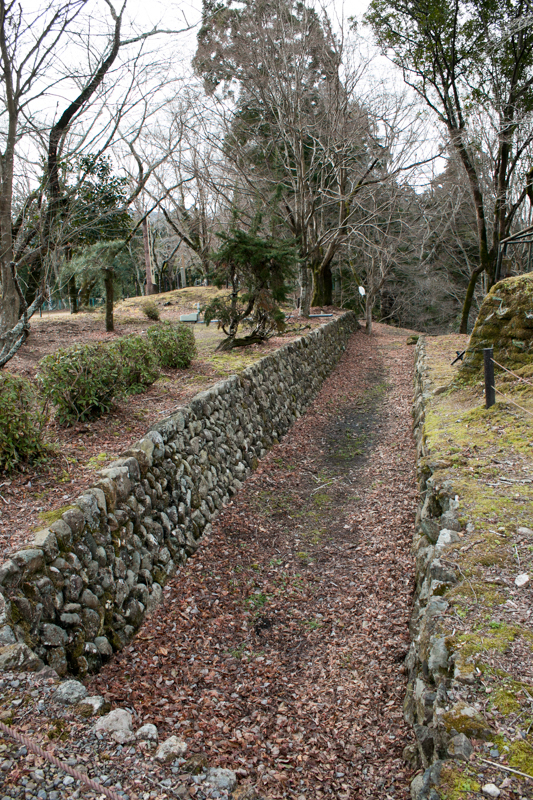 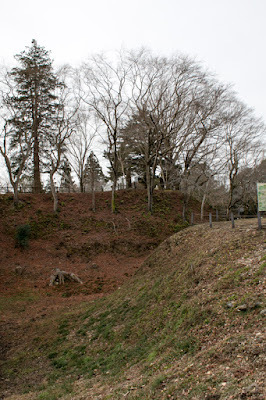 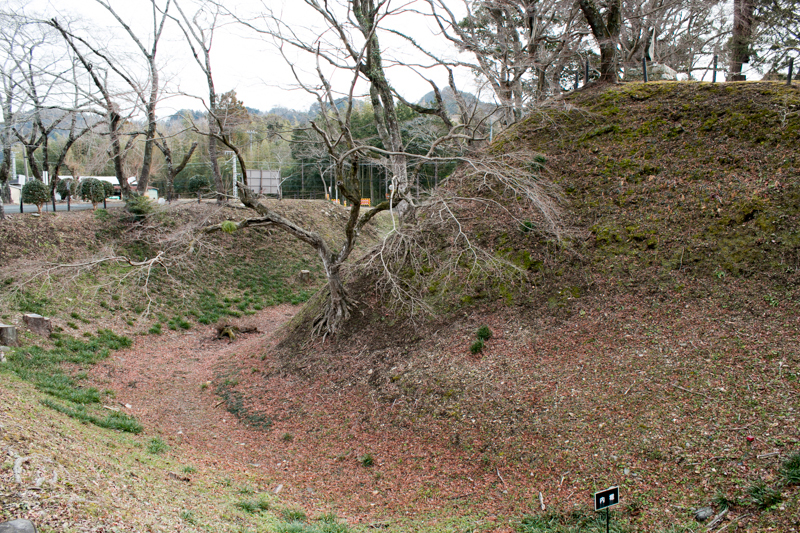 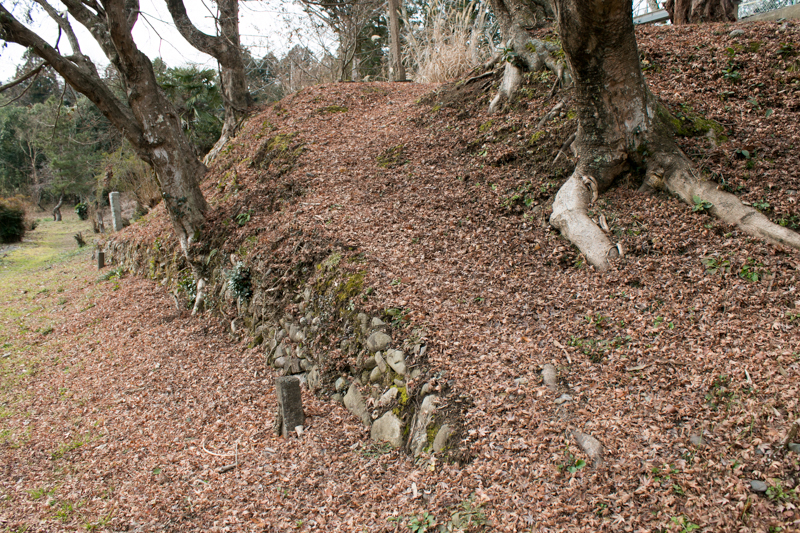 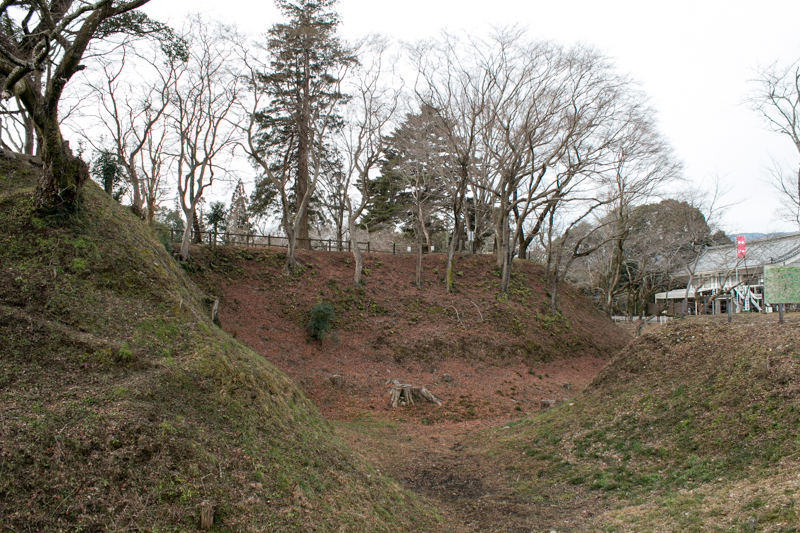 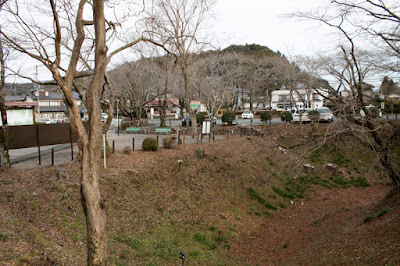 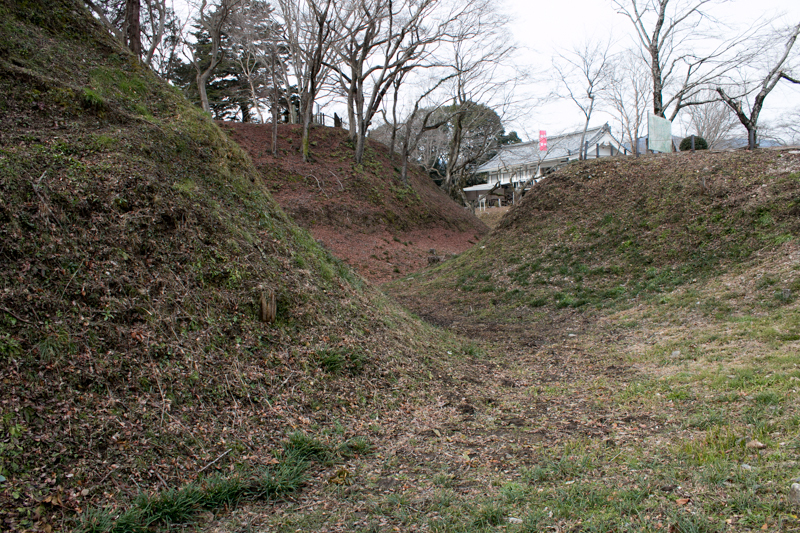 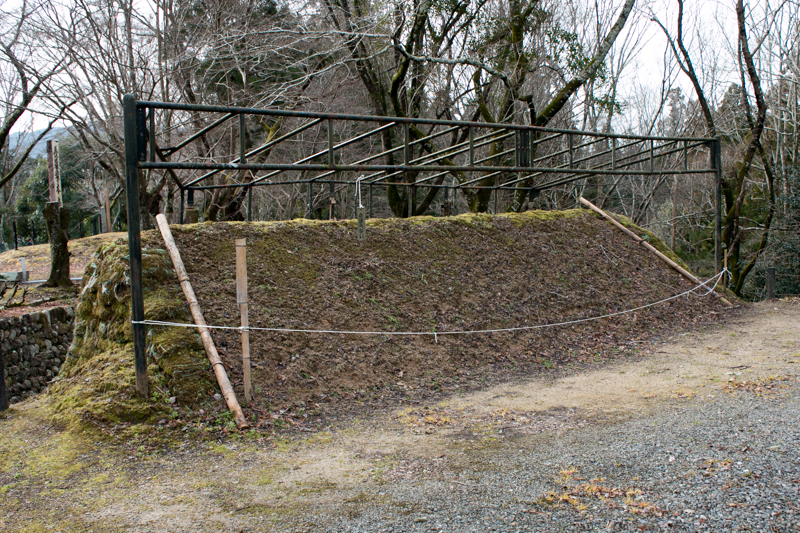 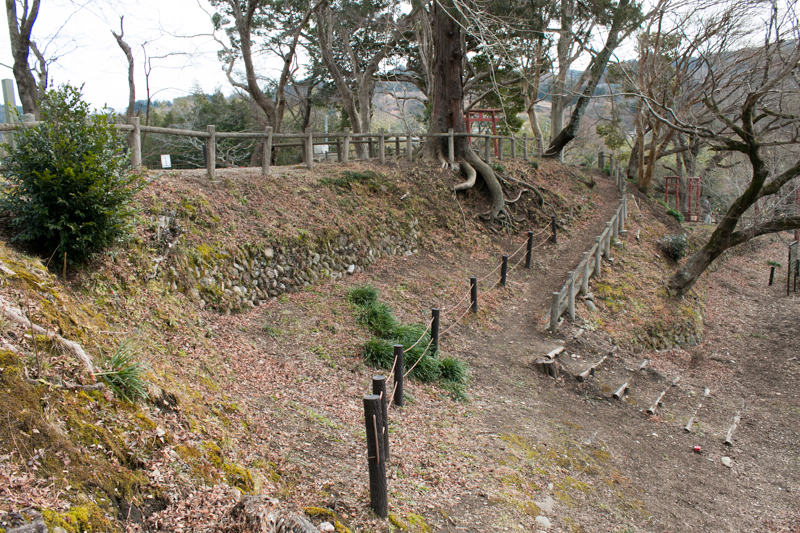 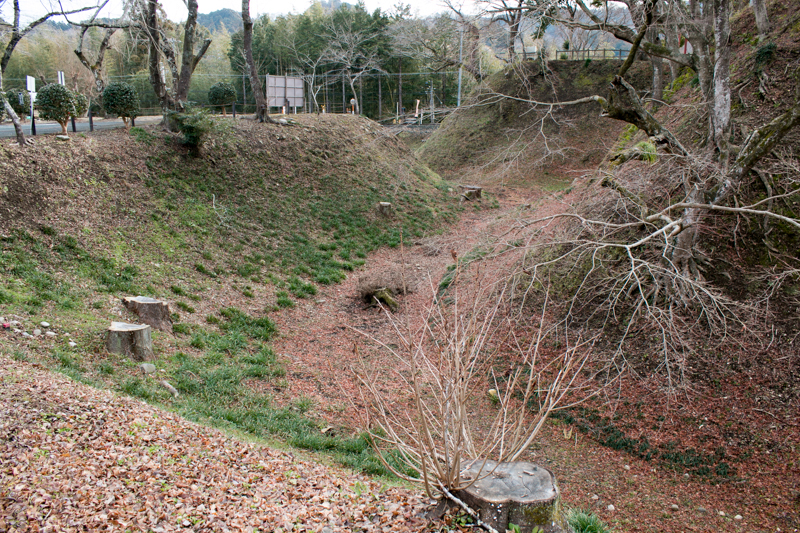 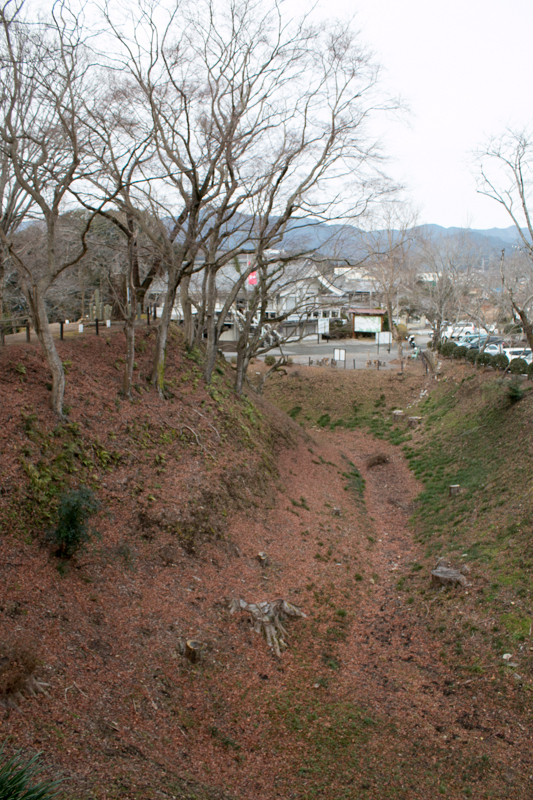 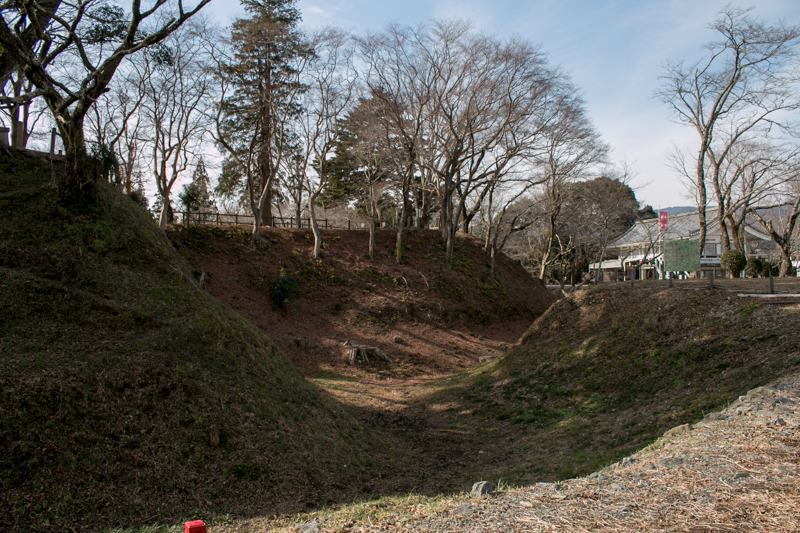 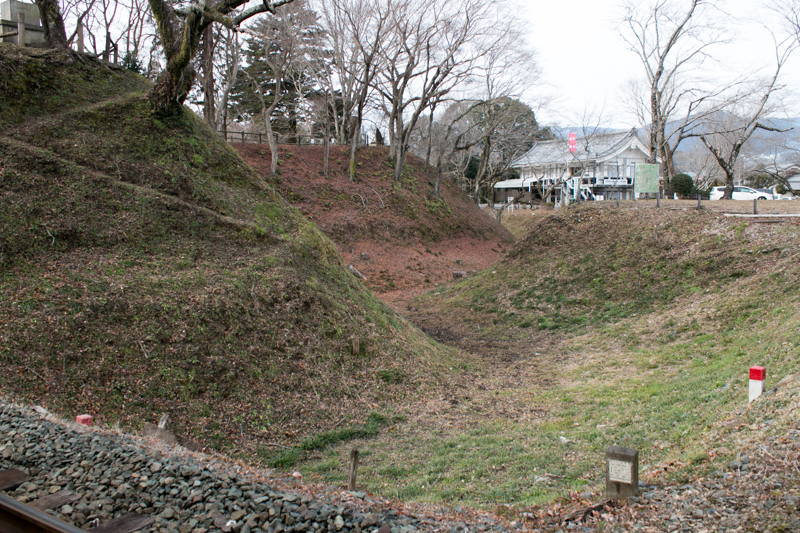 Nagashino castle was a small but covered two sides by rivers, it was a secure castle suitable for defense. 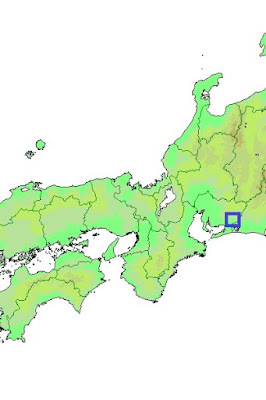 In medieval era, northeastern part of Mikawa country was governed by small lords such as Okudaira clan, Nagashino Suganuma clan and Damine Suganuma clan collectively called as Yamaga Sanpo Shu. Nagashino castle was originally built by Nagashino Suganuma clan around 1508 as their residence. 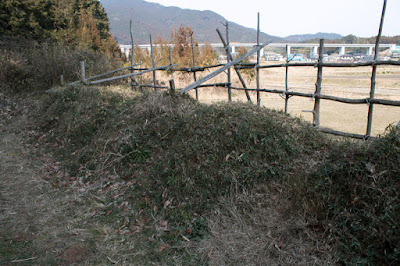 As usual for small clans of this era, surrounded by large powers such as Matsudaira clan, Imagawa clan or Takeda clan, Suganuma and other clans frequently changed their master based on the surrounding situation. 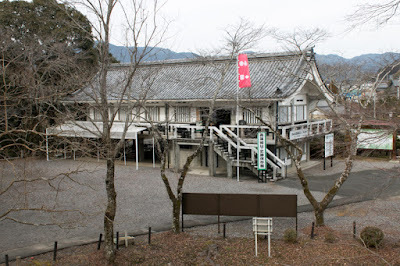 Once belonged to Imagawa clan, a warlord of Suruga province (middle part of Shizuoka prefecture) around 1550, but facing fall of Imagawa after the battle of Okehazama at 1560, they changed their master to Ieyasu Tokugawa (1543-1616), who became independent from Imagawa clan and united Mikawa province. 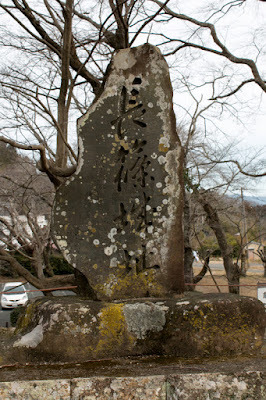 But when Shingen Takeda (1521-1573), a warlord of Kai province (Yamanashi prefecture) and held Ina region of Shinano province (Nagano prefecture) at the next of Mikawa country, began to give pressure to Tokugawa clan, Suganuma clan subordinated to Takeda clan and hand over Nagashino castle to Takeda clan. 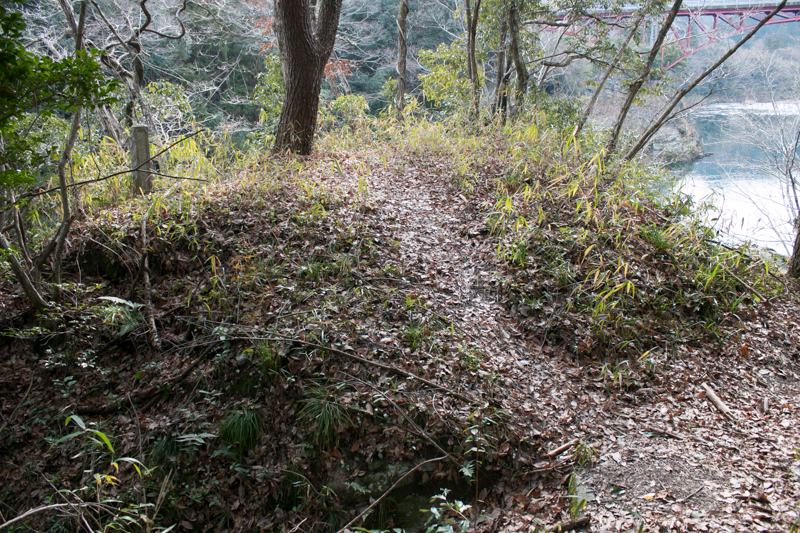 Since then Nagashino castle was used as a base of Takeda clan, but when Shingen died in 1573, Ieyasu retrieved Nagashino castle utilizing confusion of Takeda clan. 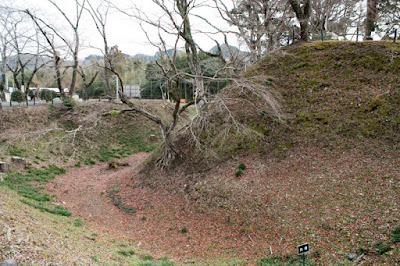 Ieyasu placed Nobumasa Okudaira (1555-1615) as a commander of captured castle. 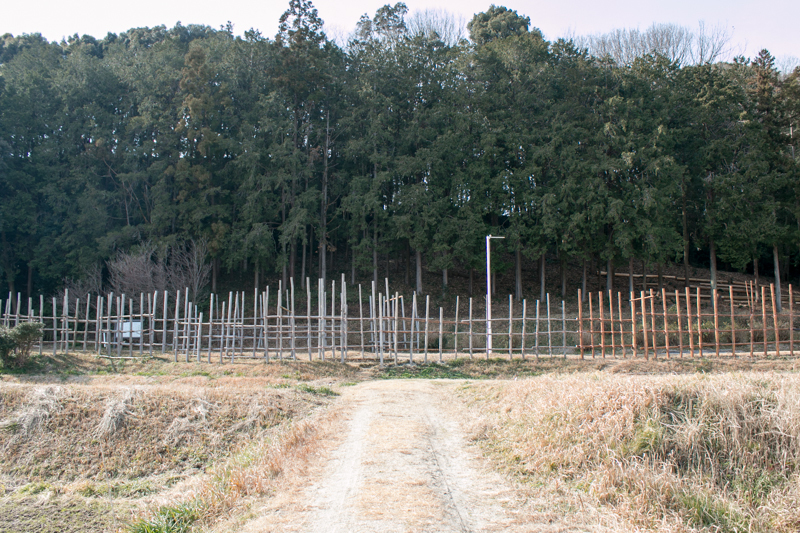 Nobumasa was a current leader of Okudaira clan and once subordinated to Shingen, but facing death of Shingen, he decided to leave Takeda clan this year. Of course this was a hard decision to keep his house, and Nobumasa lost his wife and brother kept as hostage by Takeda clan. Anticipating attack of Katsuyori Takeda (1546-1582), the successor of Shingen and who captured Takatenjin castle in 1574, Ieyasu and Nobumara strengthened this castle with large sand walls and moats, and prepared for besiege. 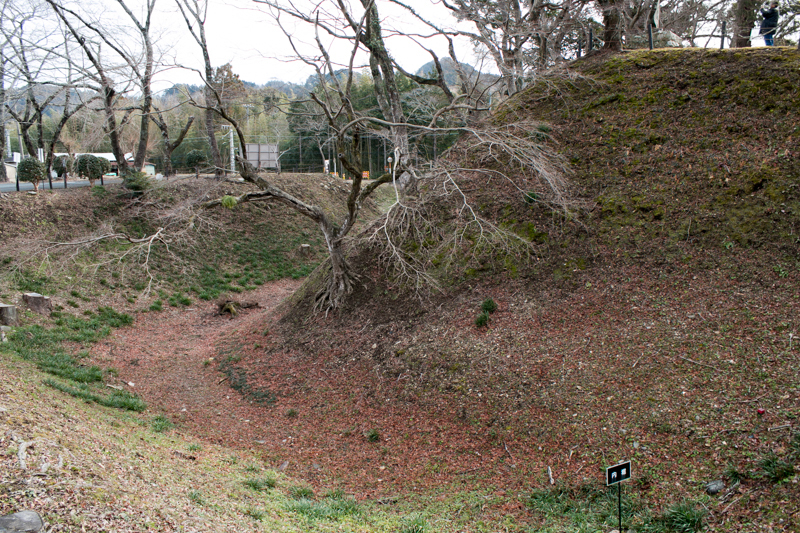 As expected, in May 1575, Katsuyori assaulted Mikawa country and siege Nagashino castle with 15,000 soldiers to keep his dignity. 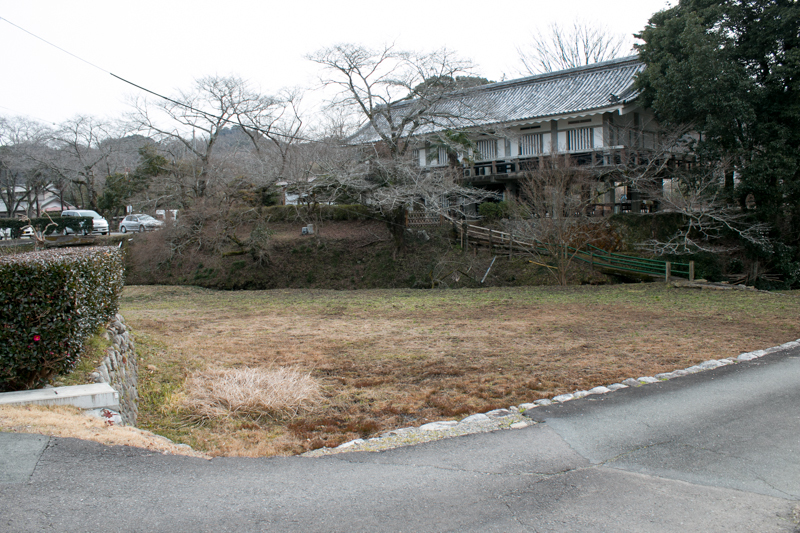 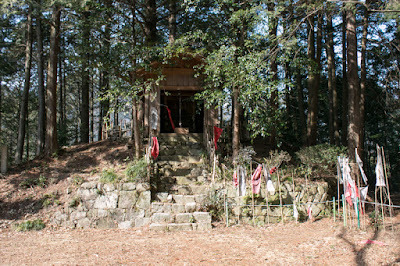 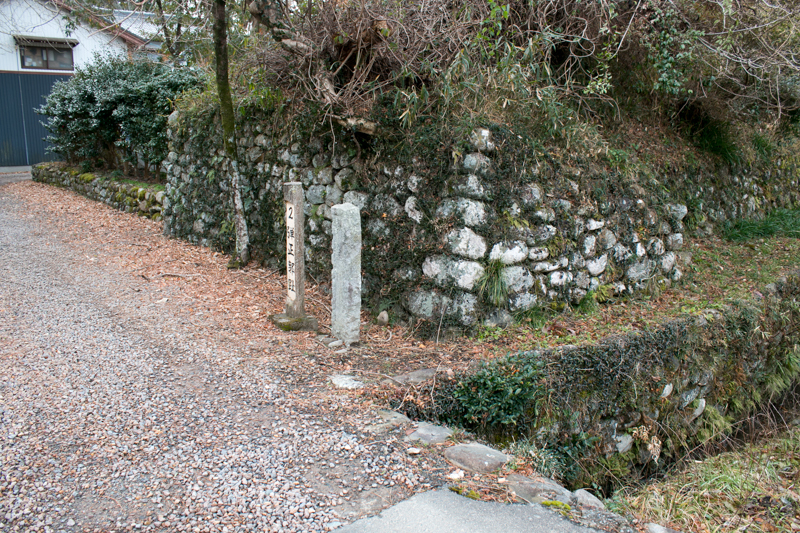 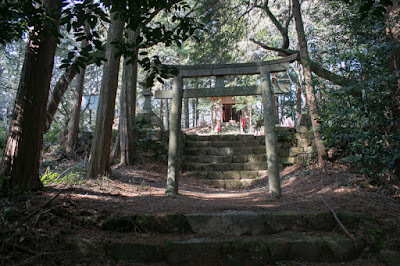 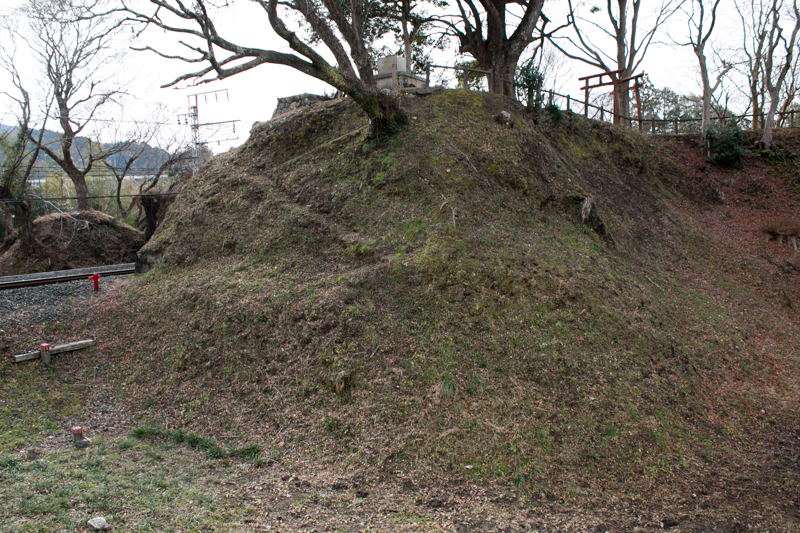 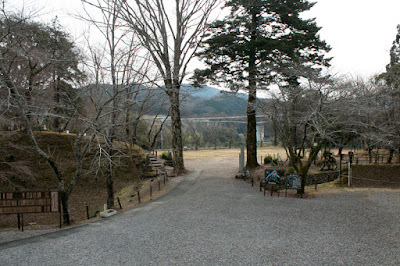 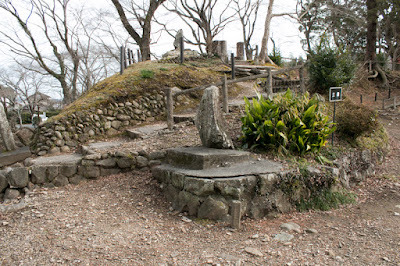 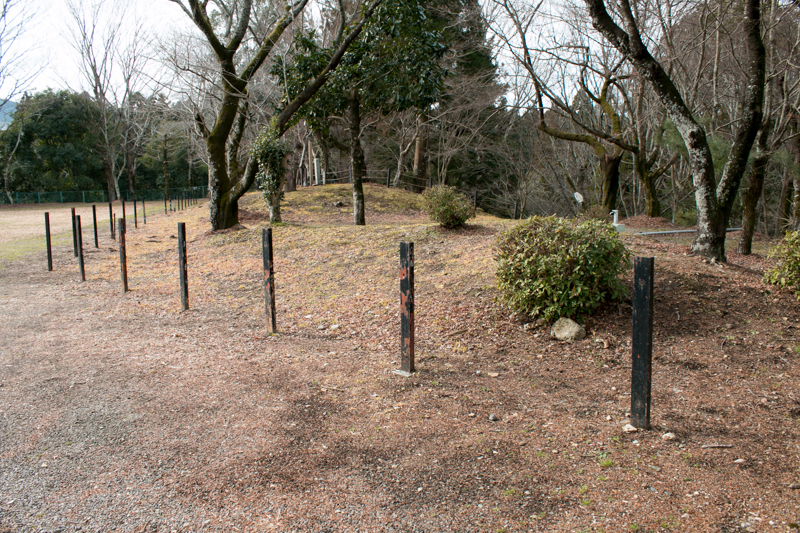 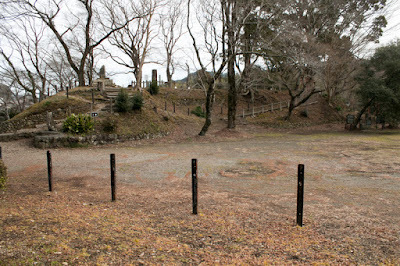 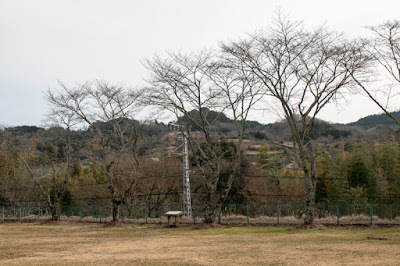 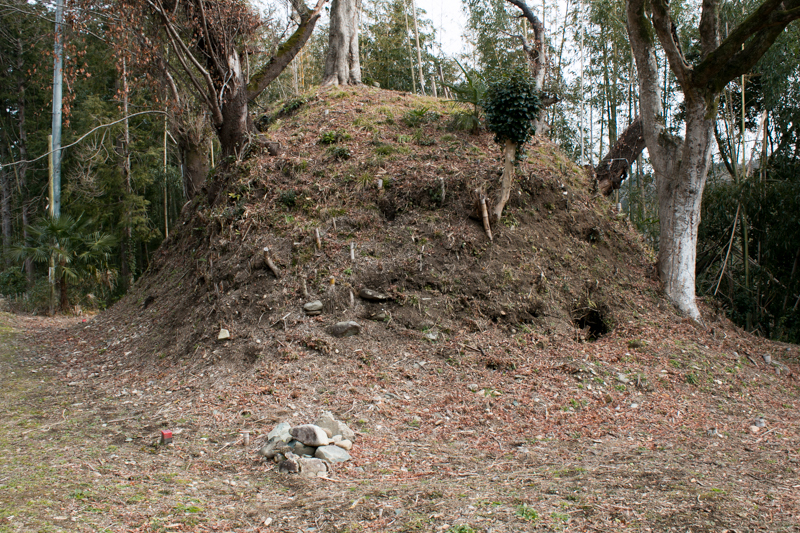 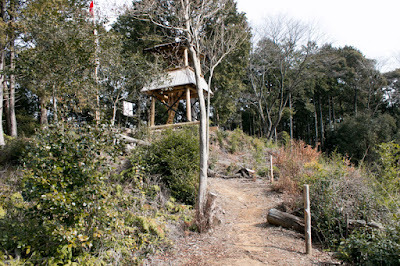 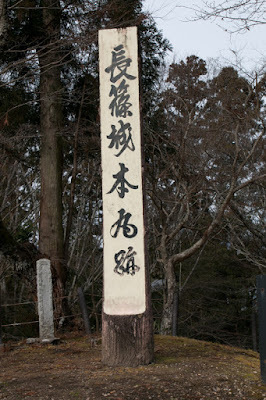 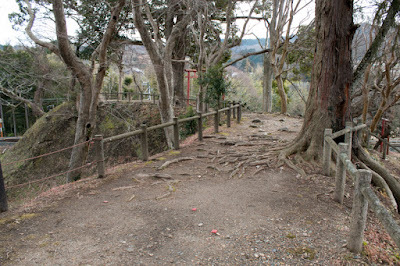 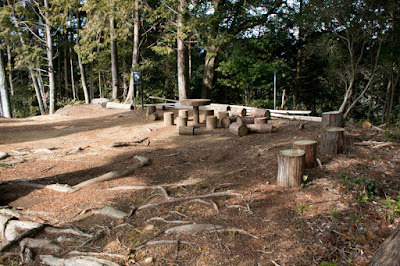 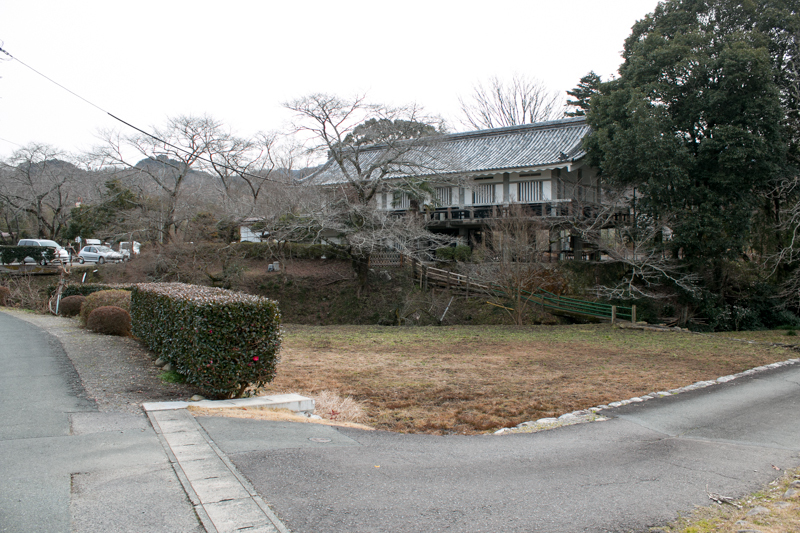 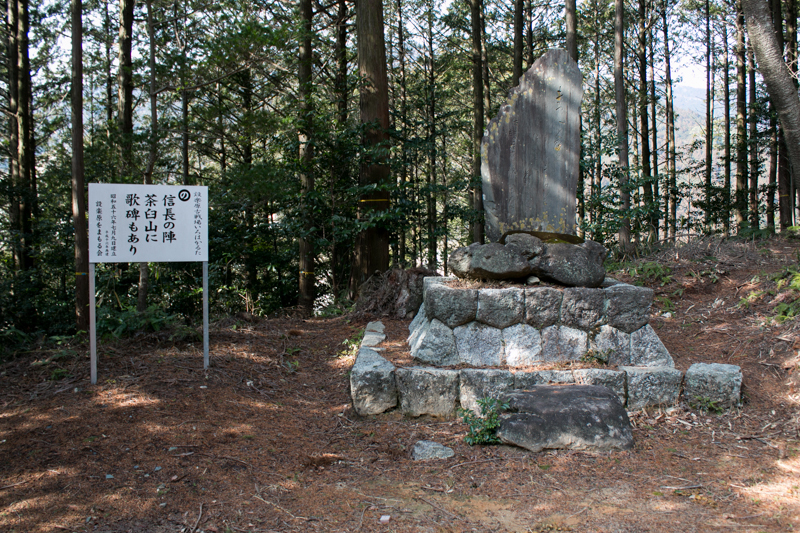 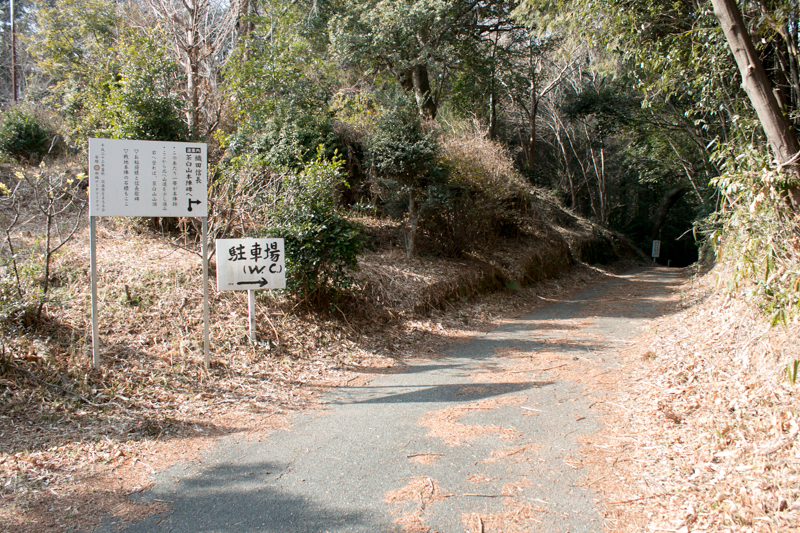 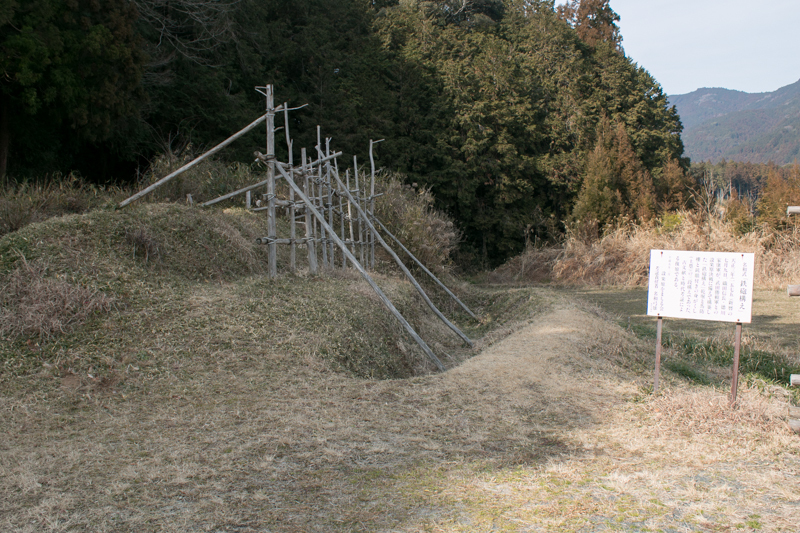 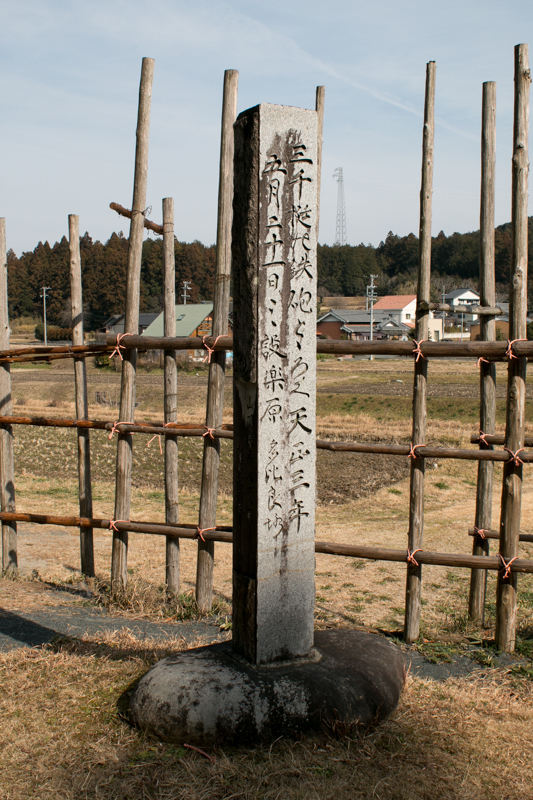 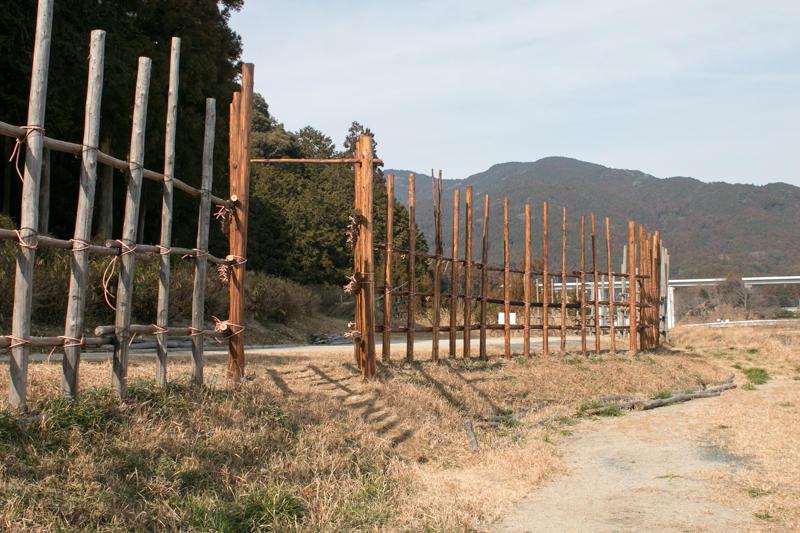 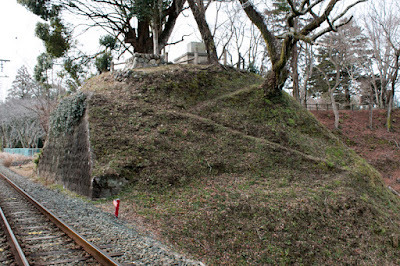 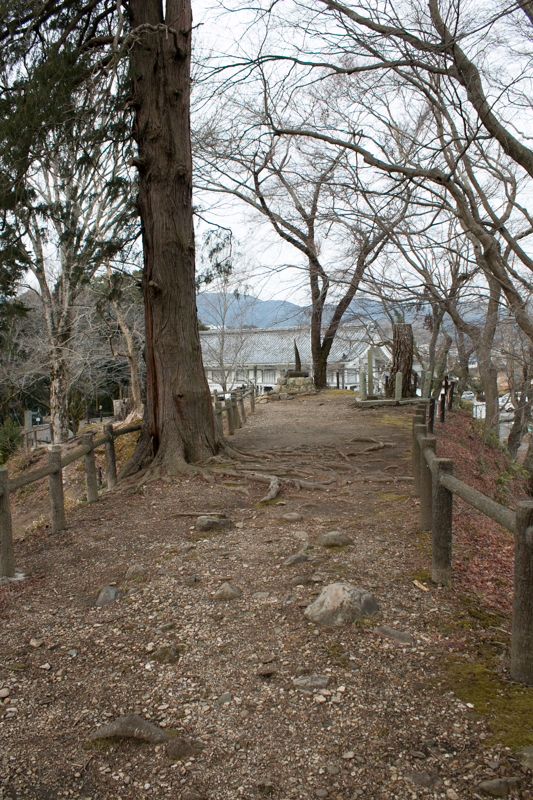 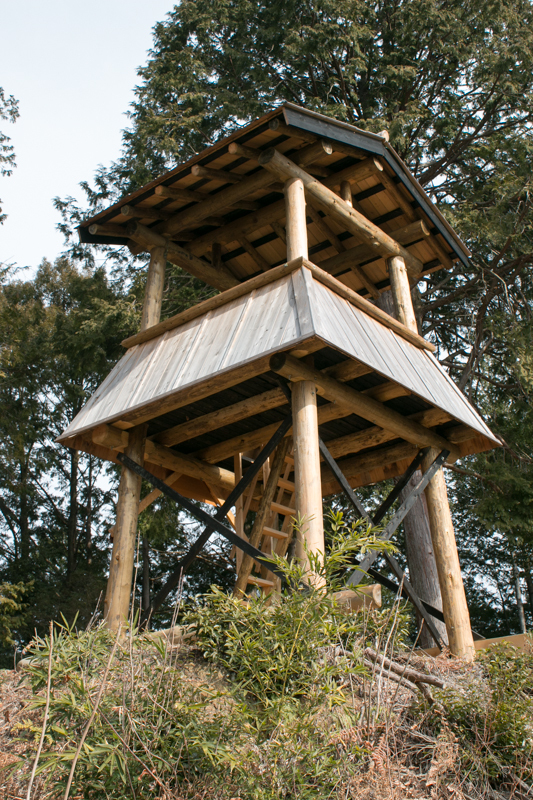 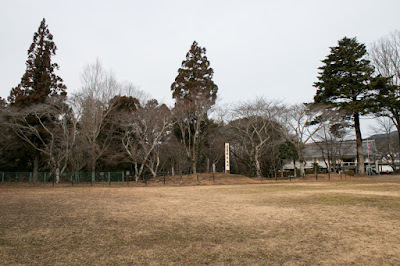 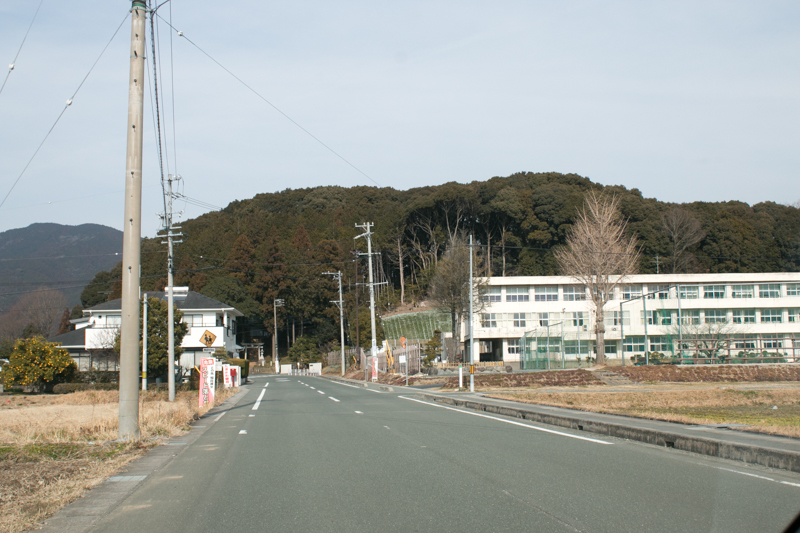 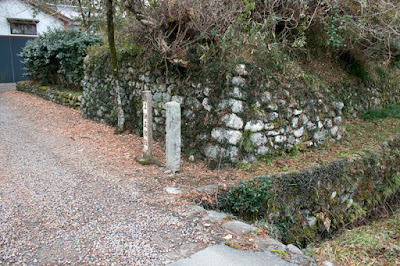 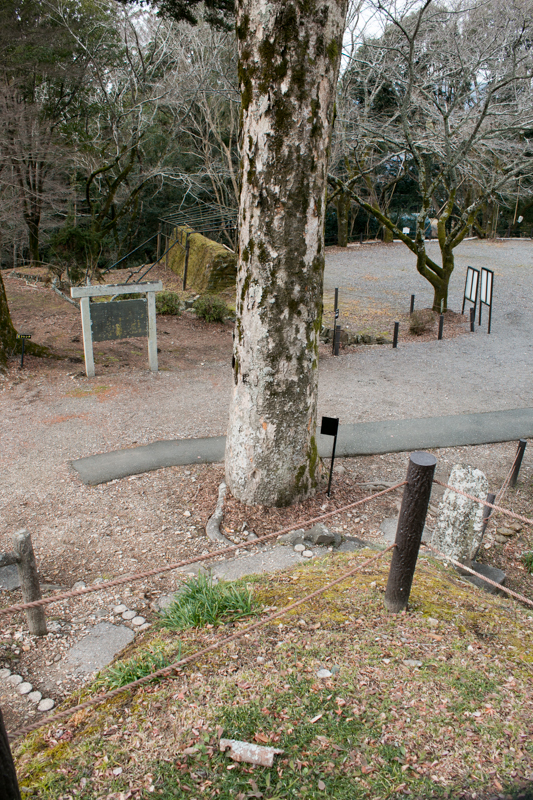 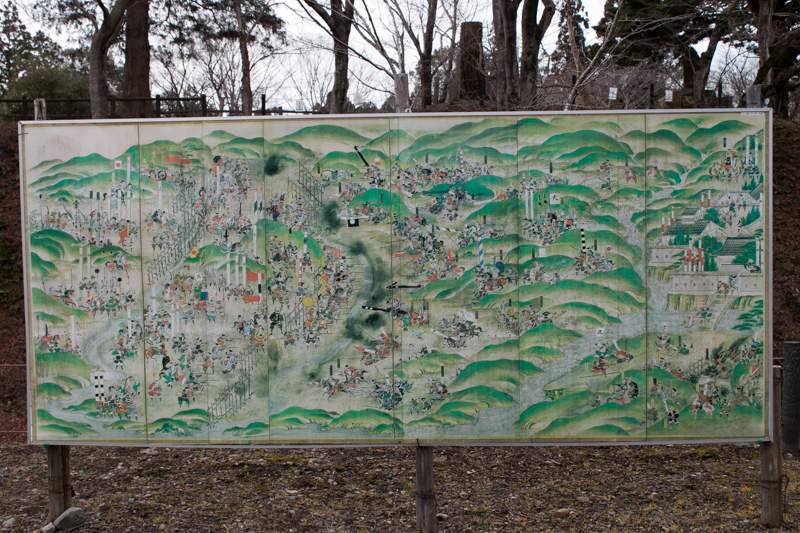 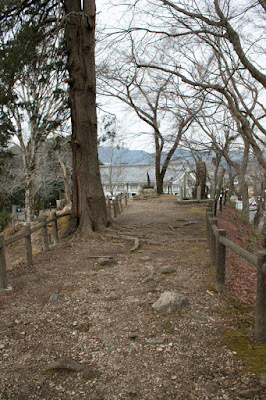 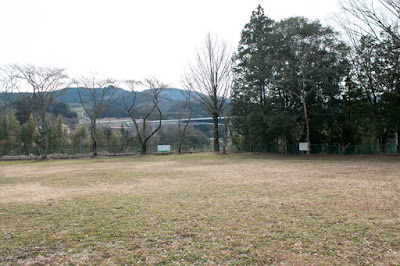 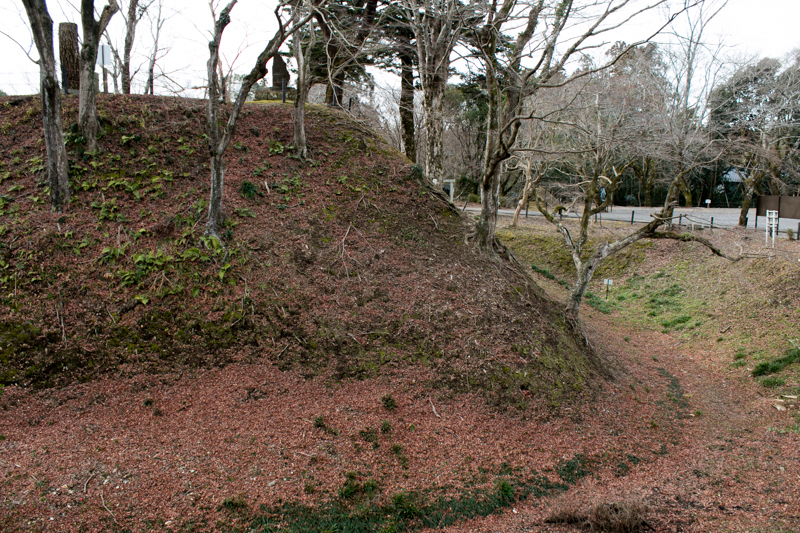 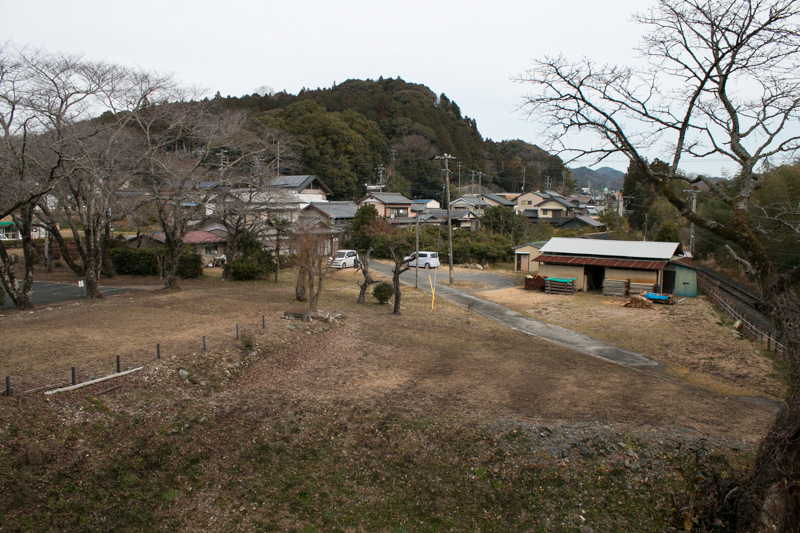 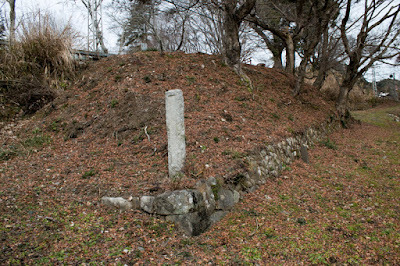 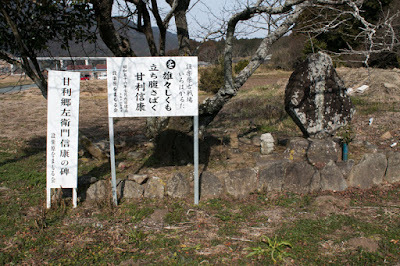 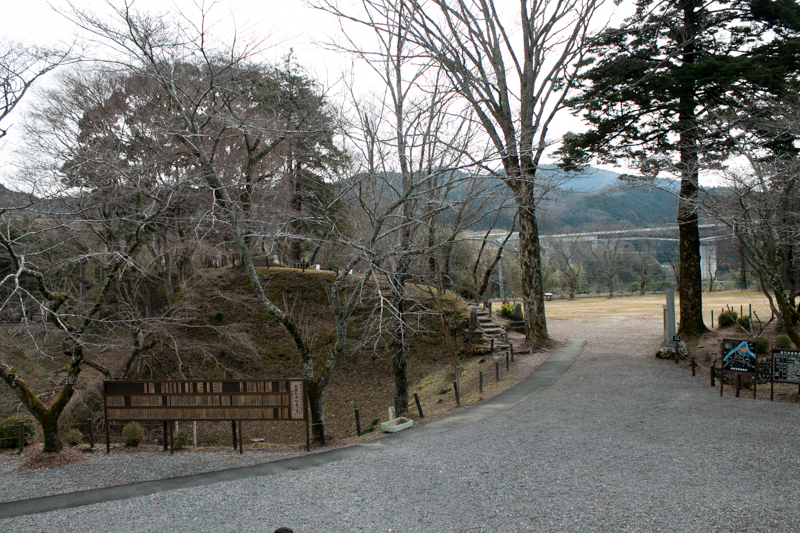 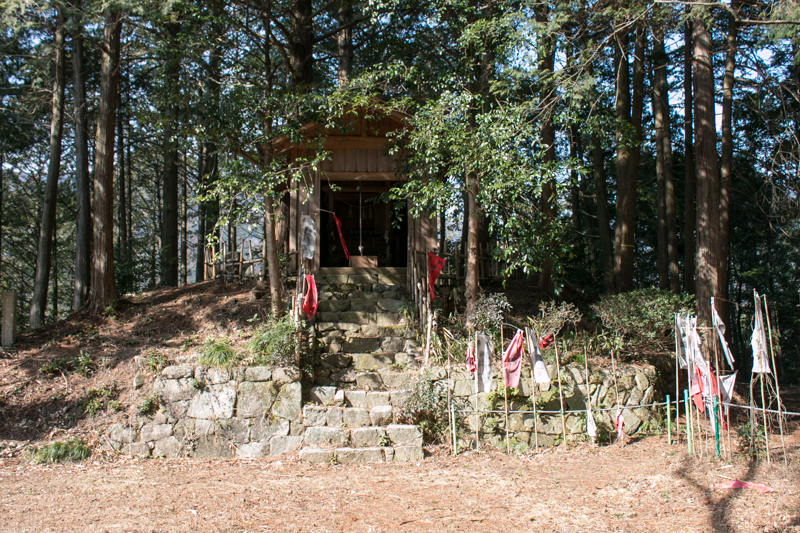 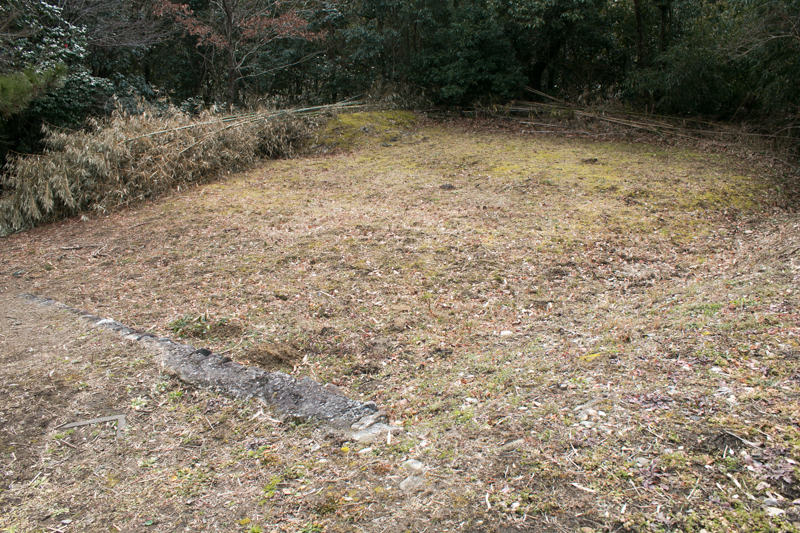 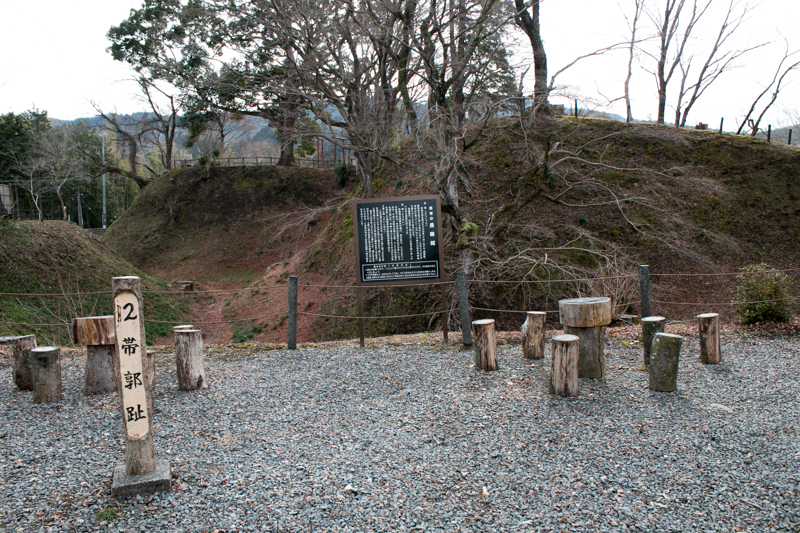 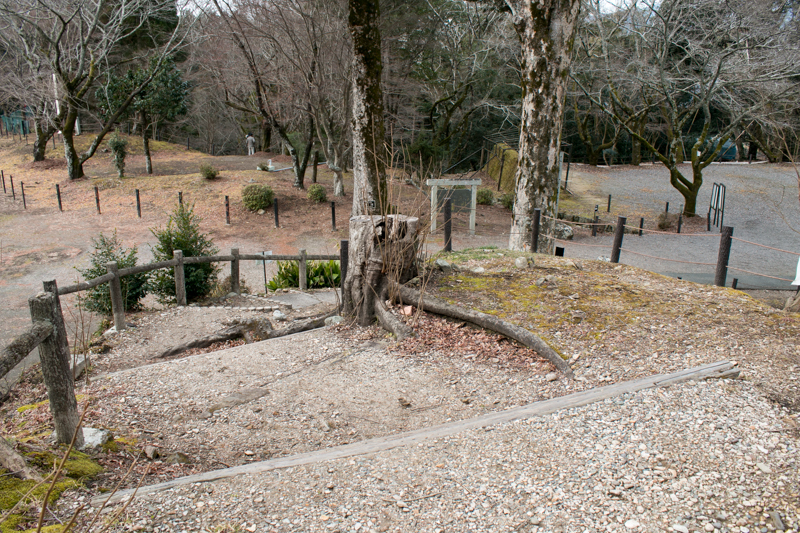 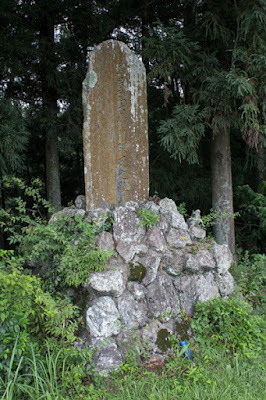 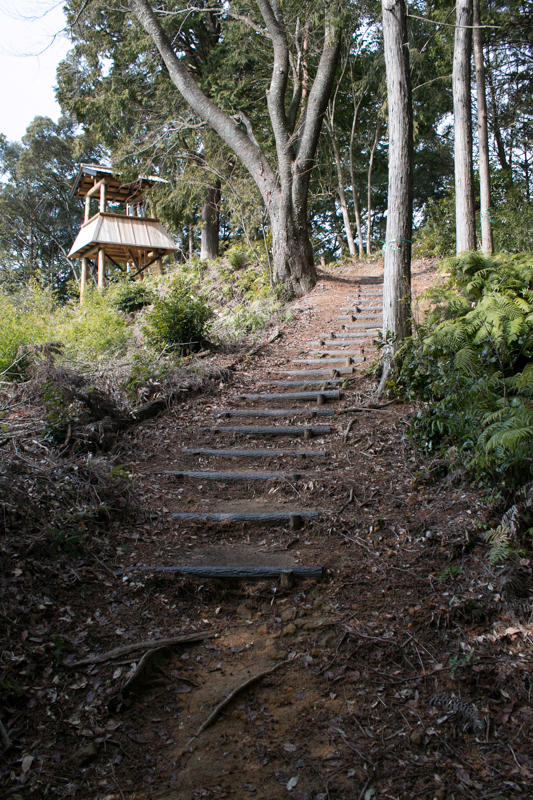 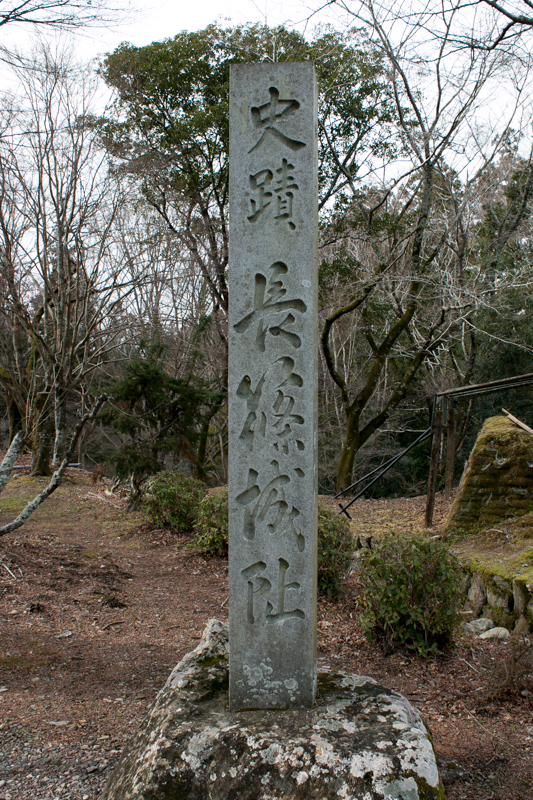 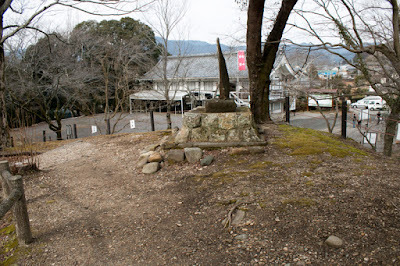 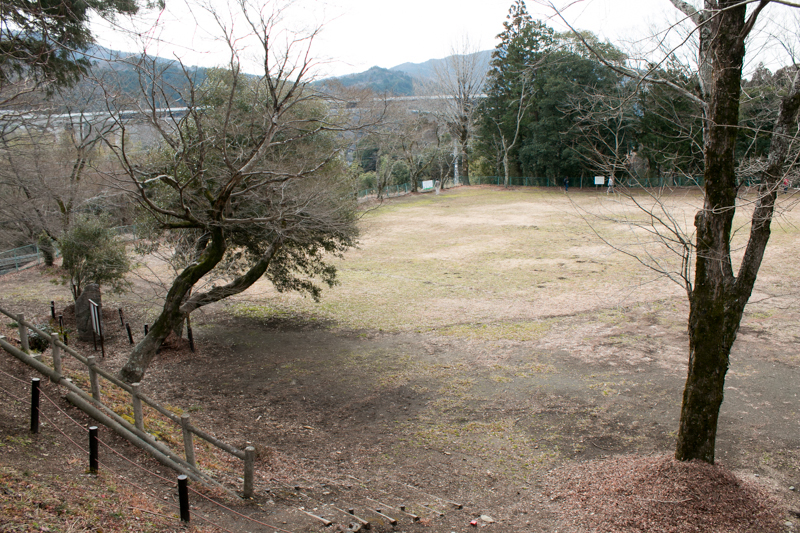 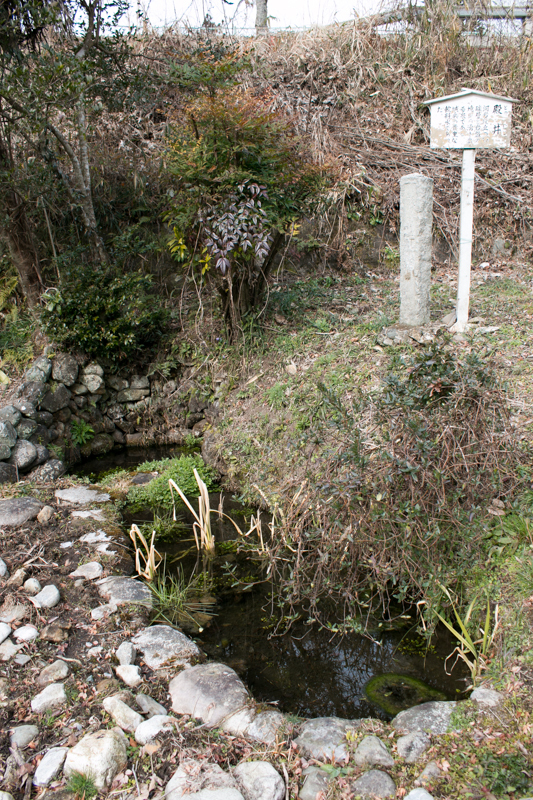 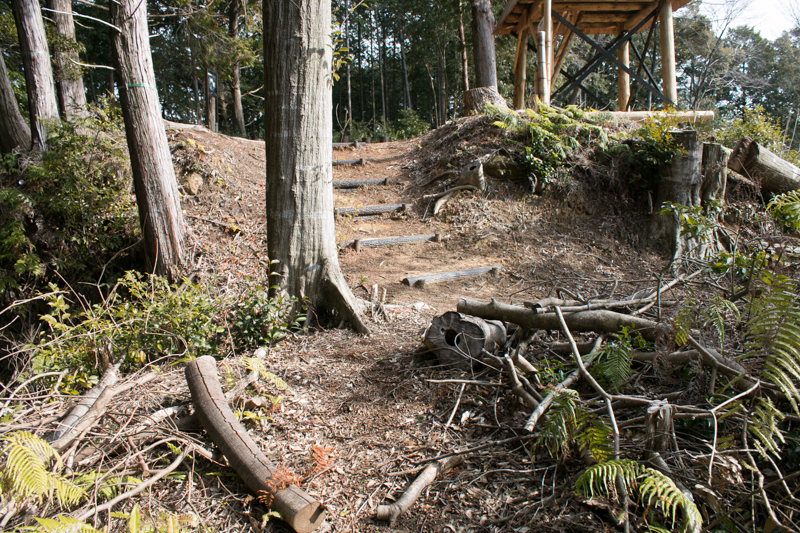 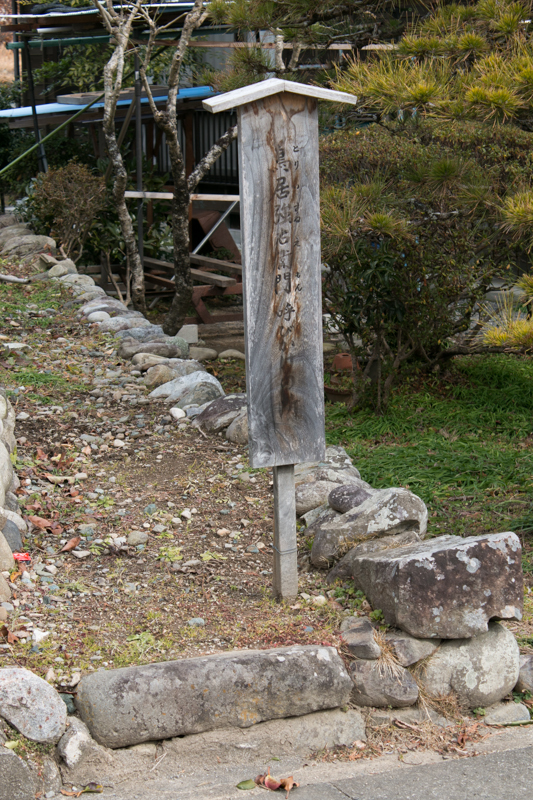 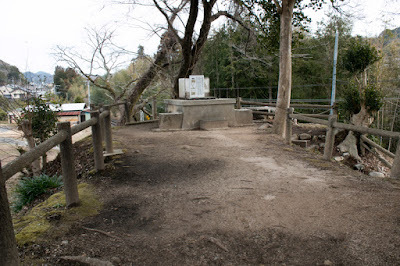 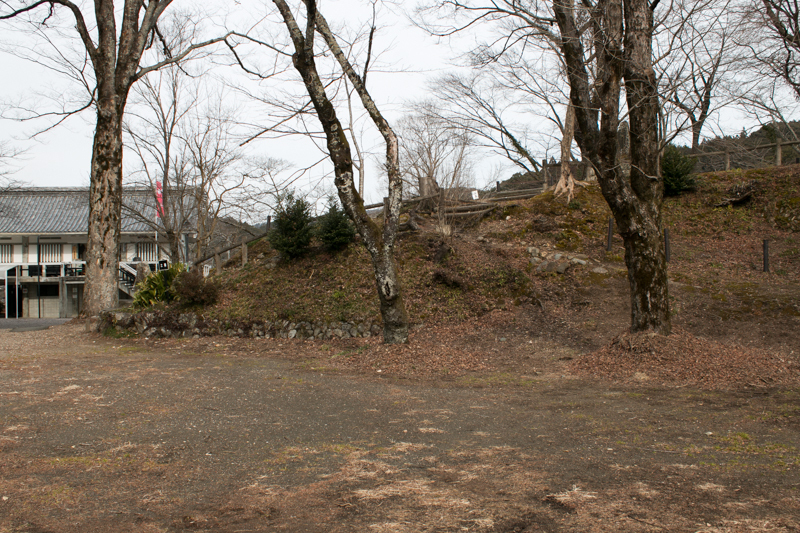 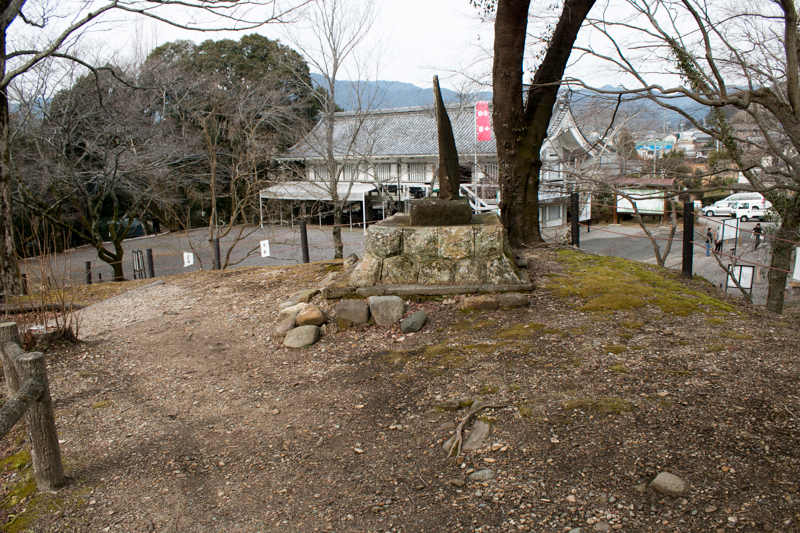 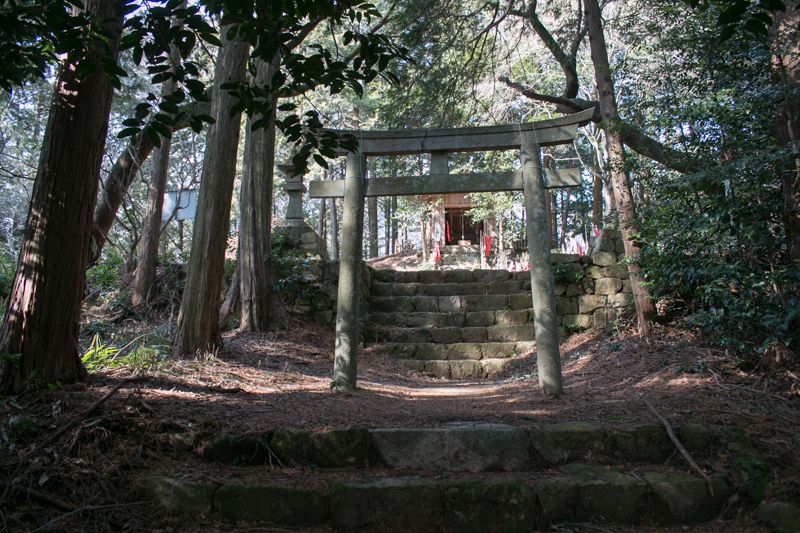 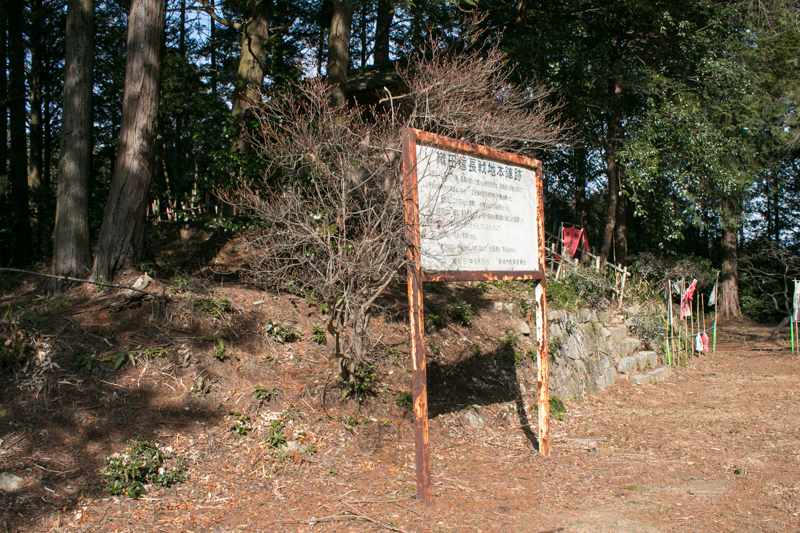 Katsuyori placed his headquarter at the hill behind of Ioji temple and placed his generals in front of the castle. 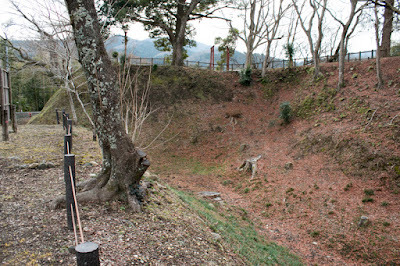 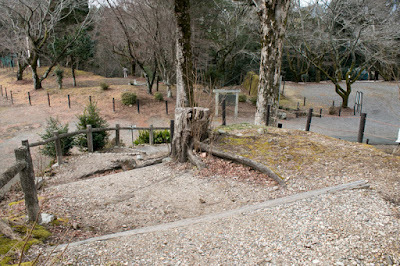 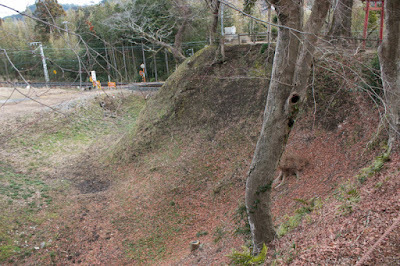 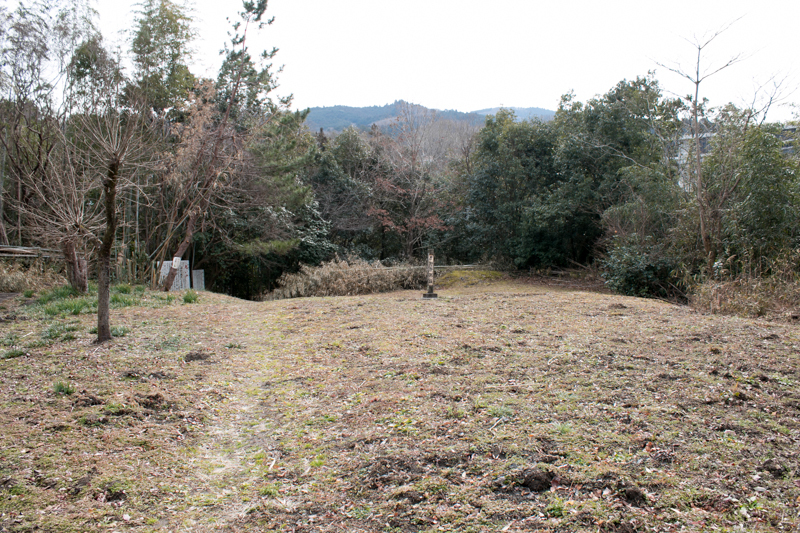 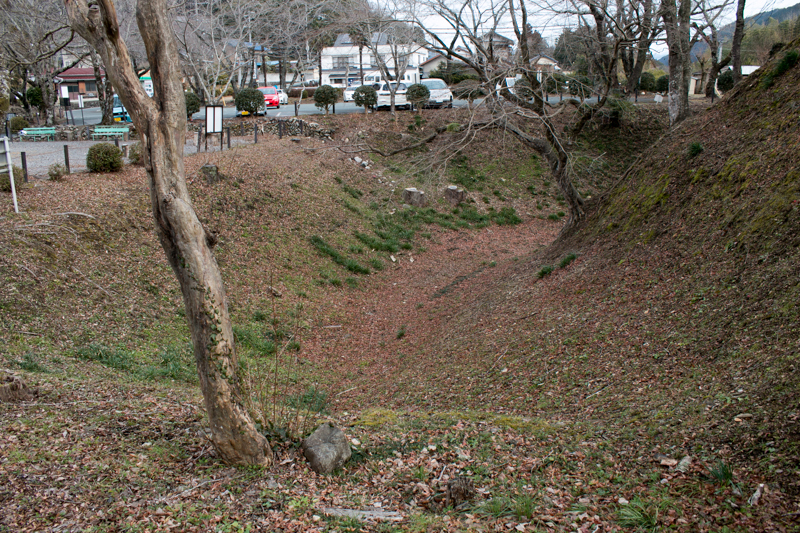 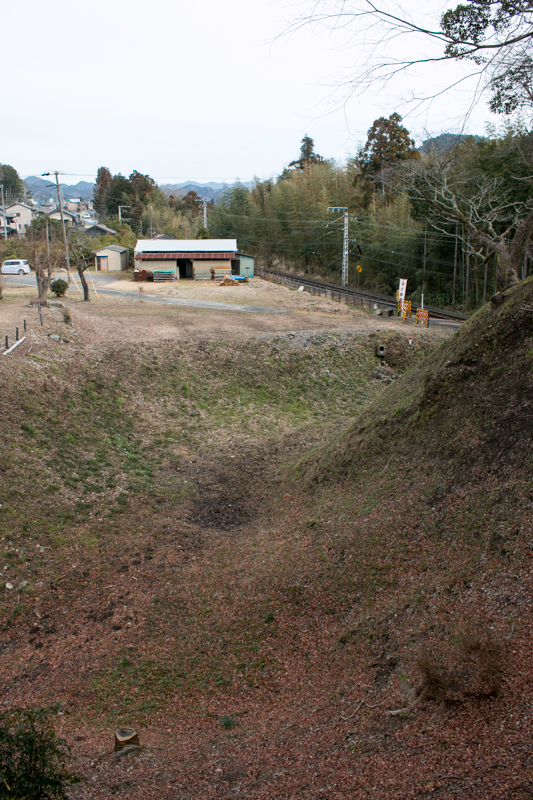 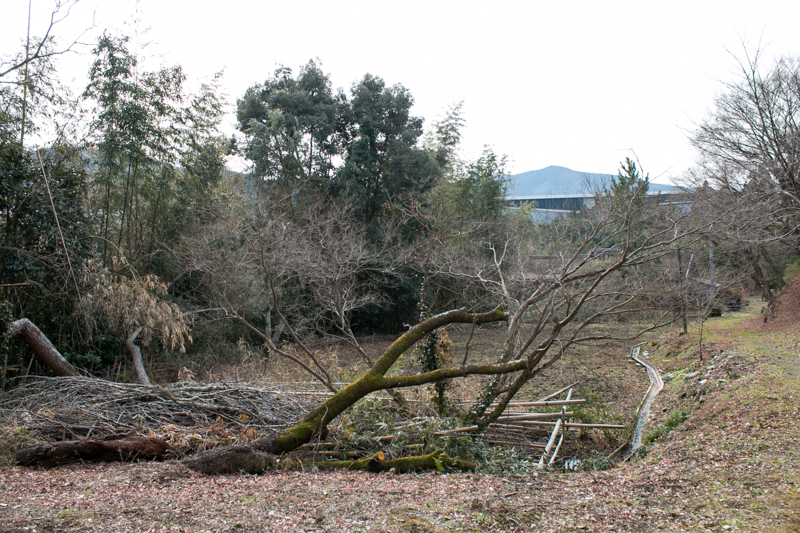 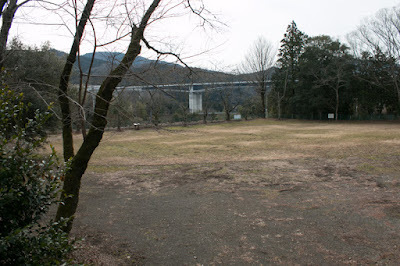 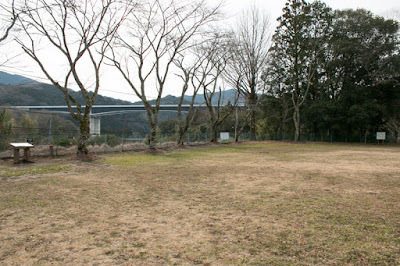 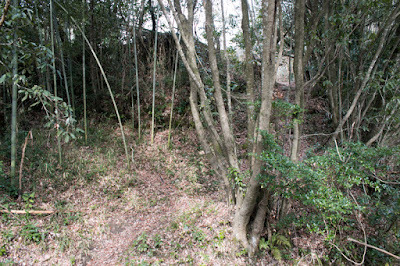 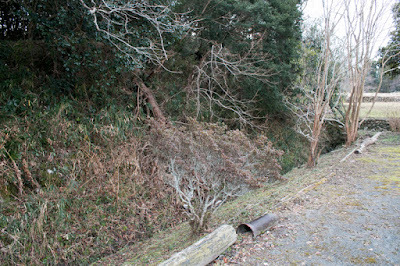 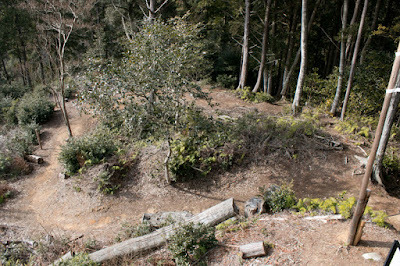 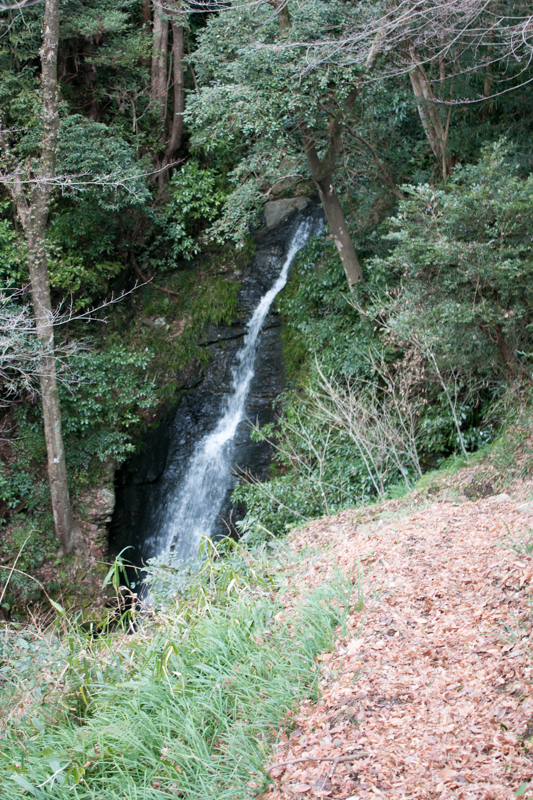 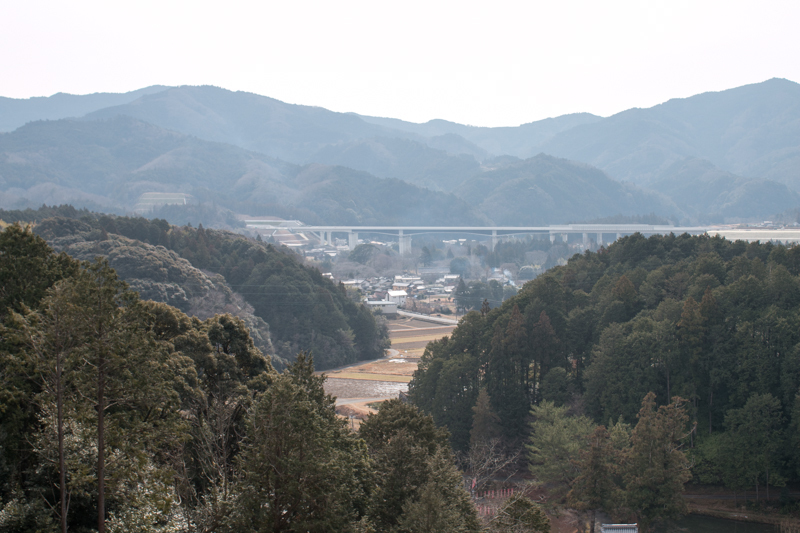 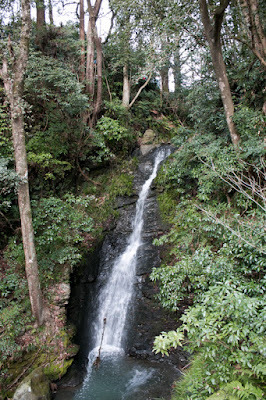 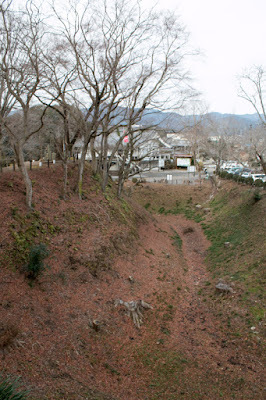 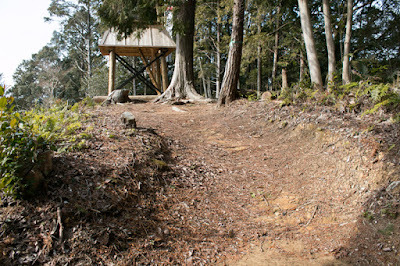 Behind the castle there was a detached force at Tobigasu hill. 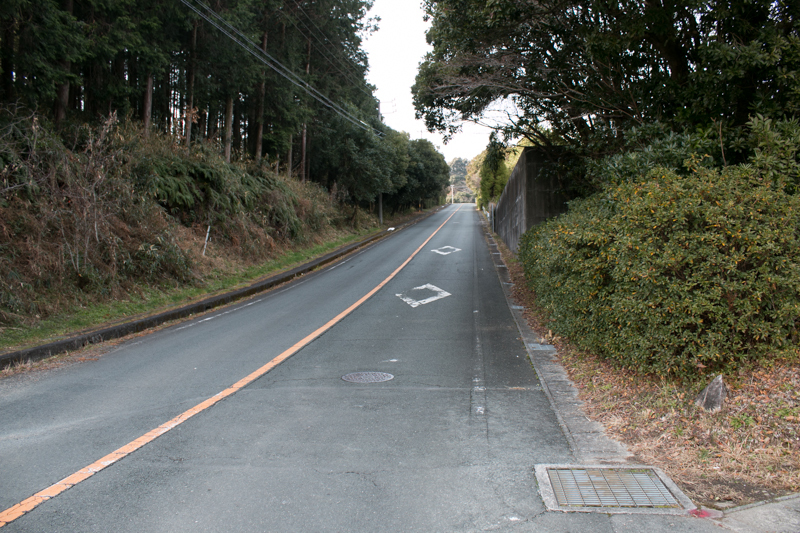 Facing this situation, Nobumasa with 500 soldiers stand attack of Takeda army, and sent one solider named Suneemon Torii to Ieyasu at Okazaki castle as a messenger of requesting reinforcements. 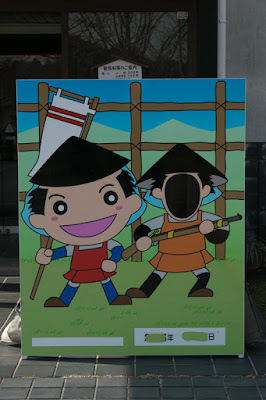 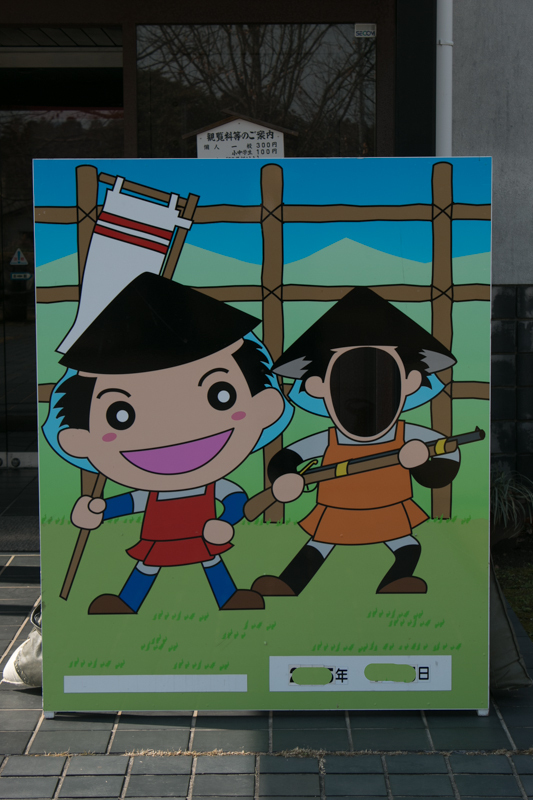 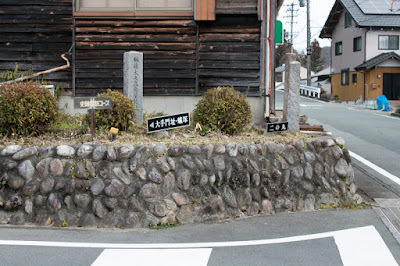 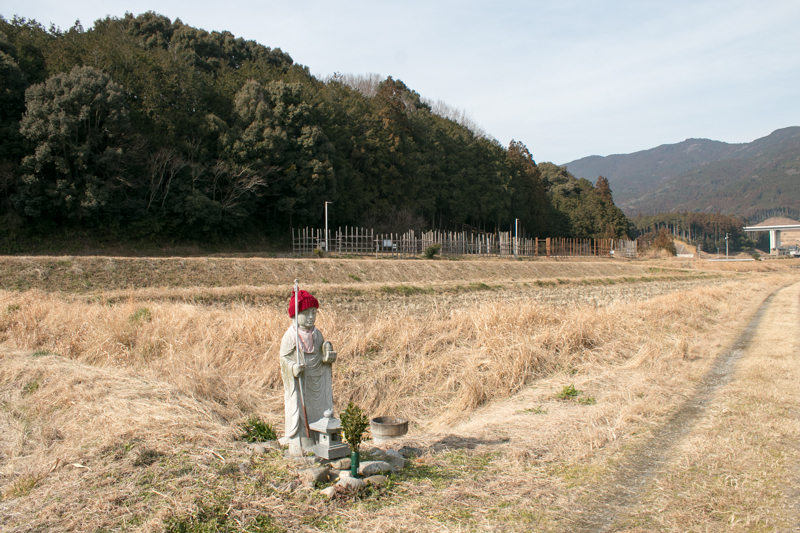 Suneemon succeeded to reach Okazaki and knew Ieyasu and his ally Nobunaga (1534-1582) send army of 30,000 solders to help them. 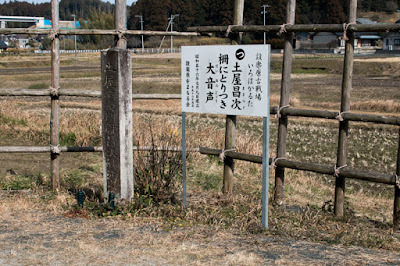 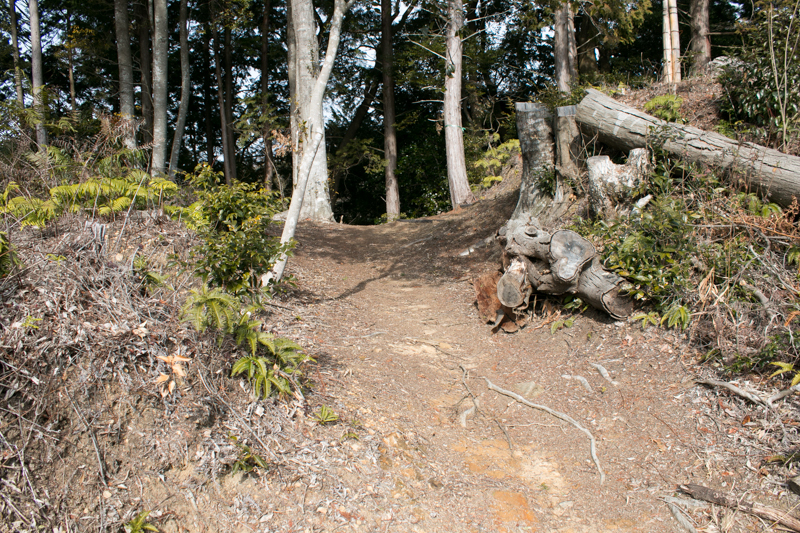 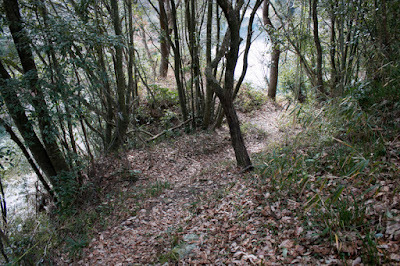 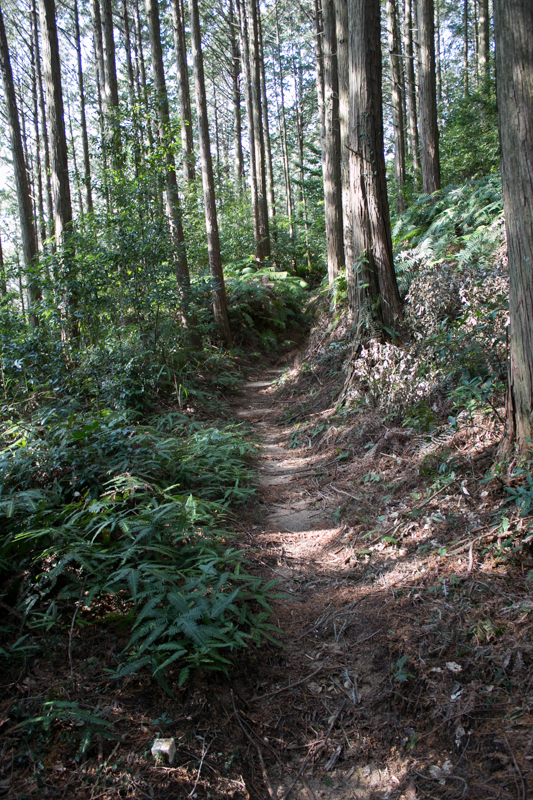 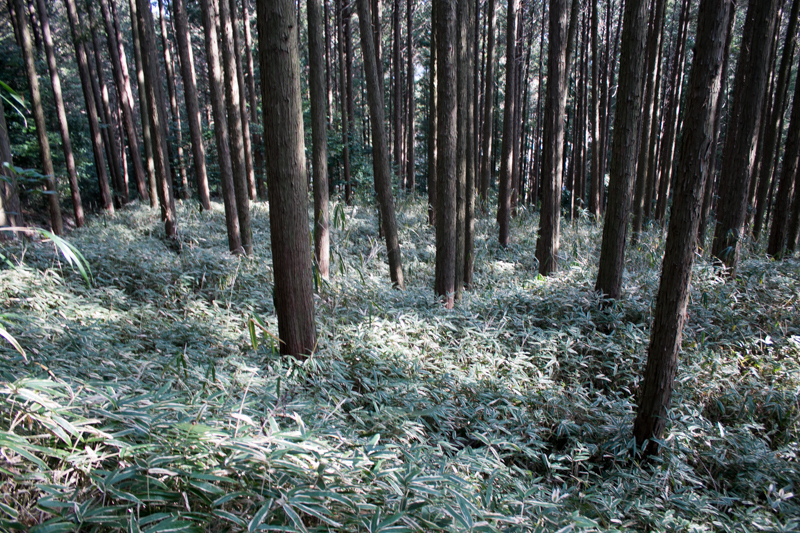 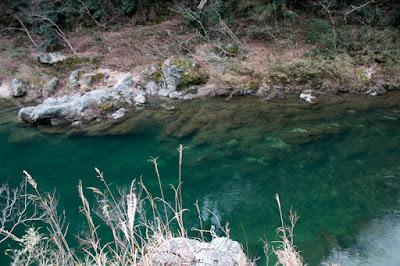 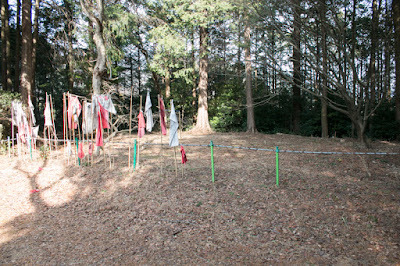 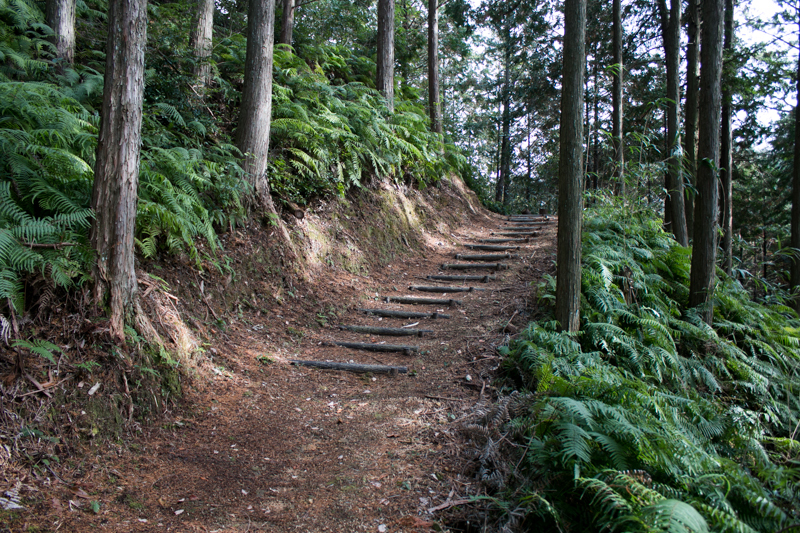 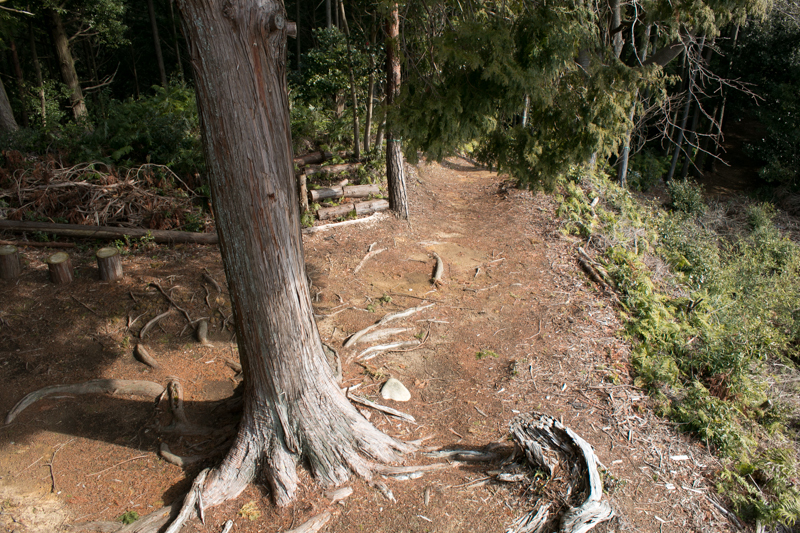 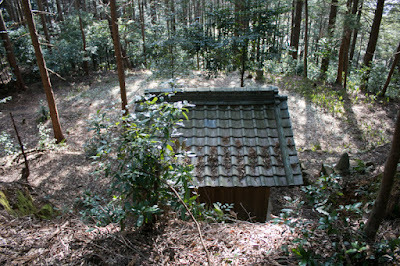 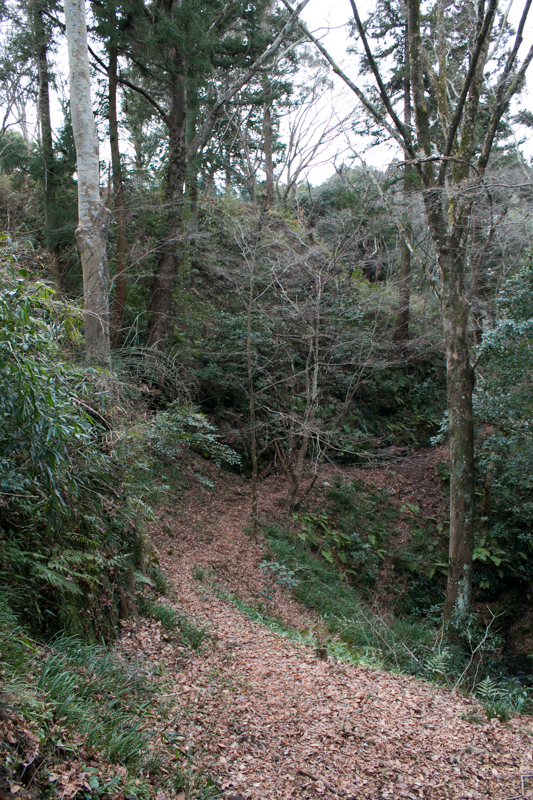 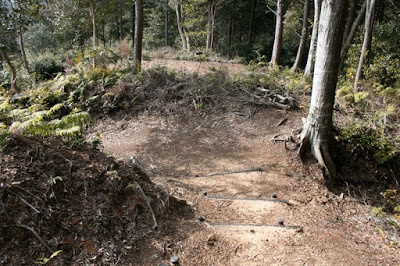 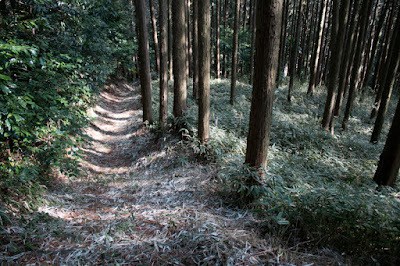 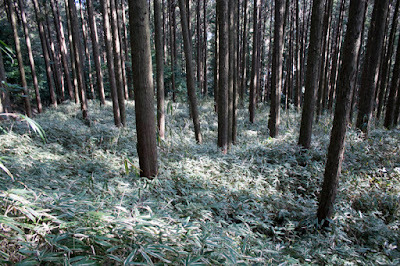 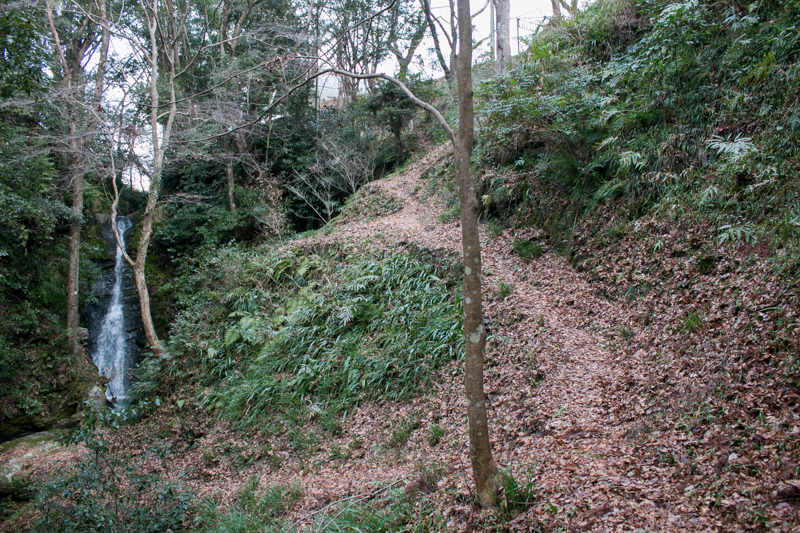 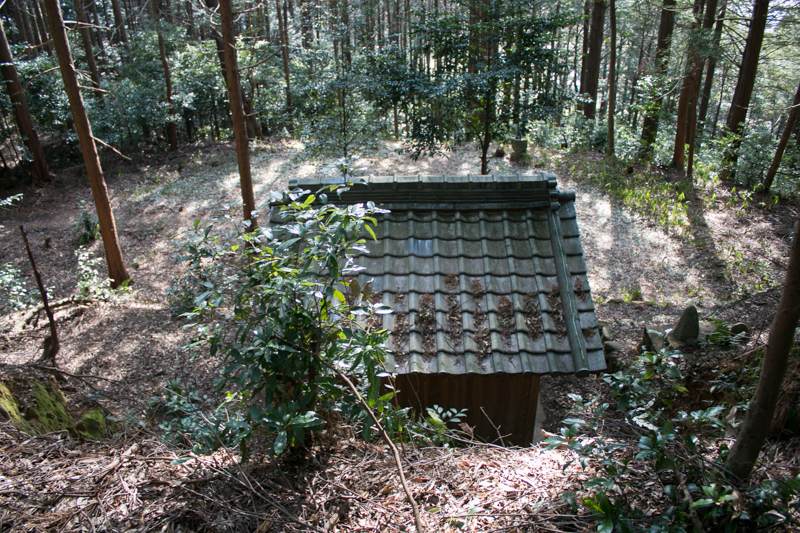 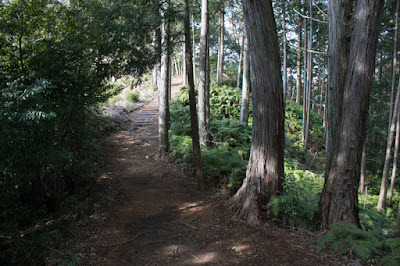 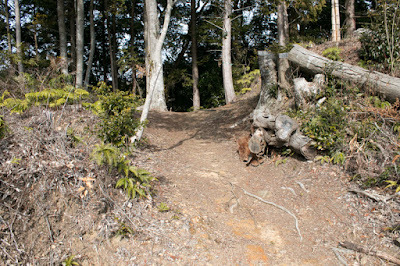 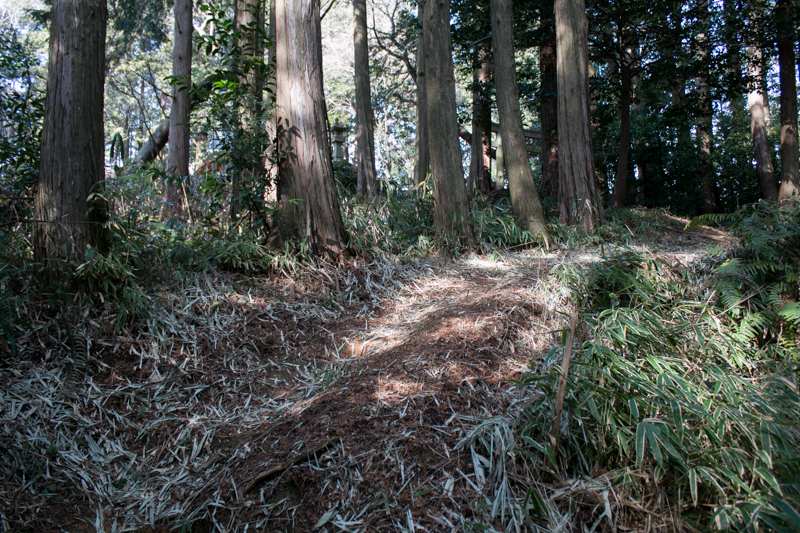 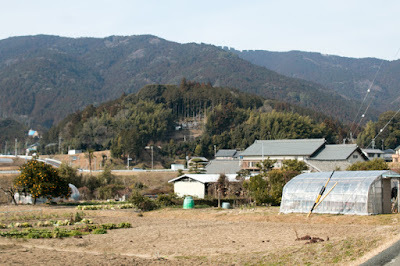 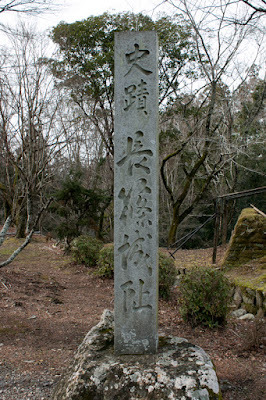 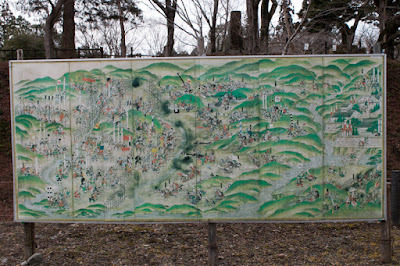 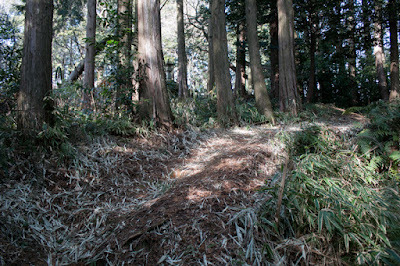 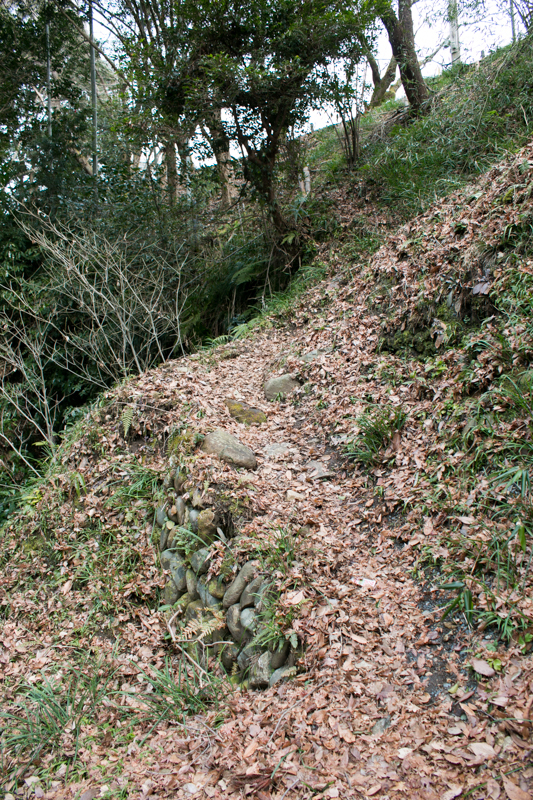 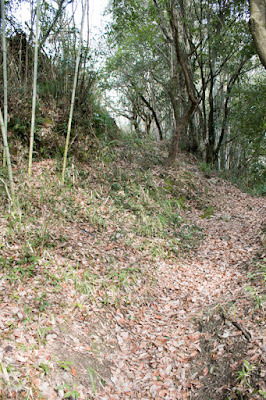 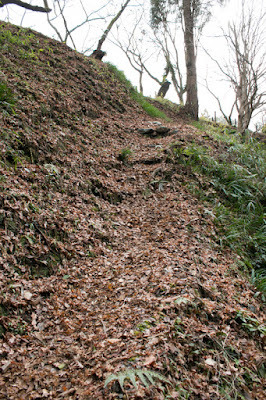 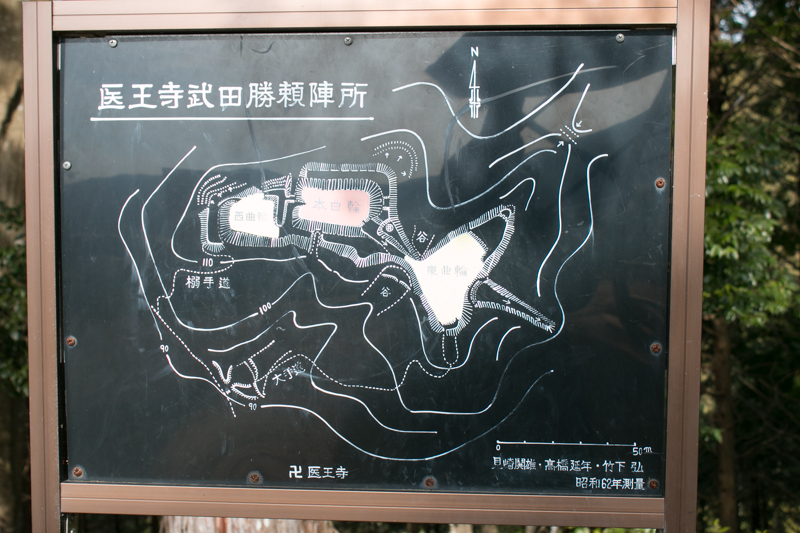 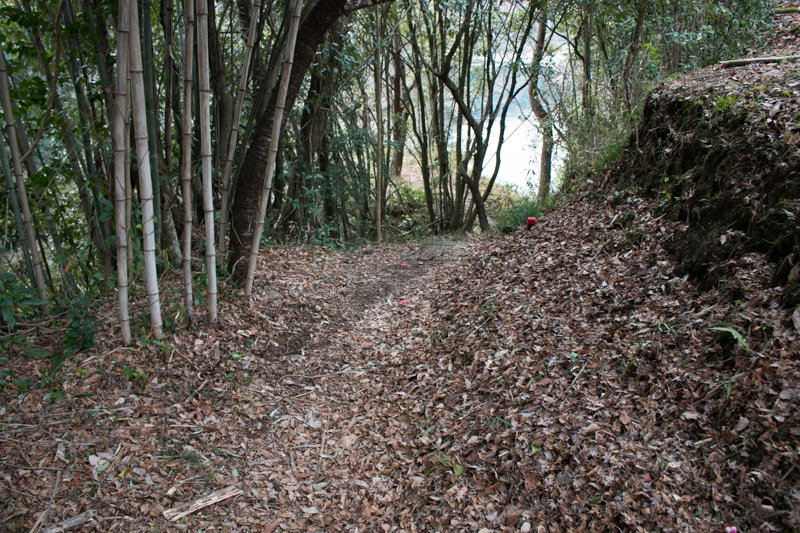 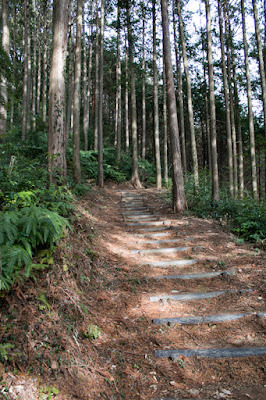 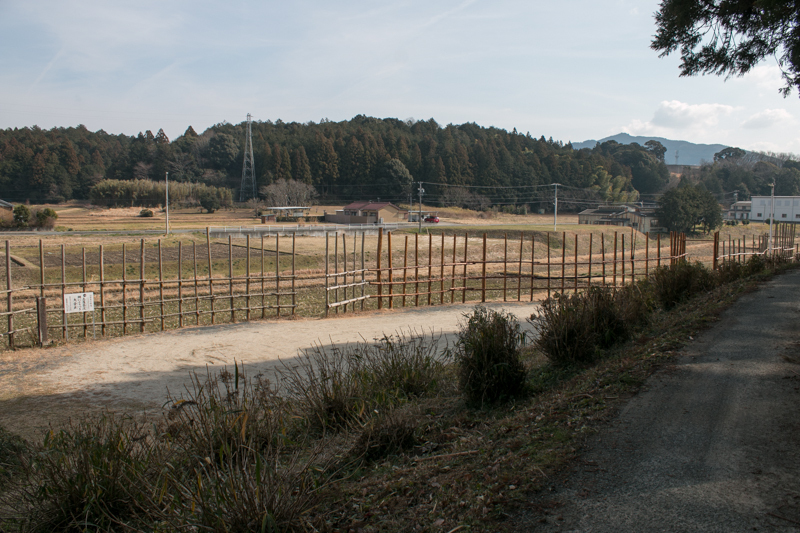 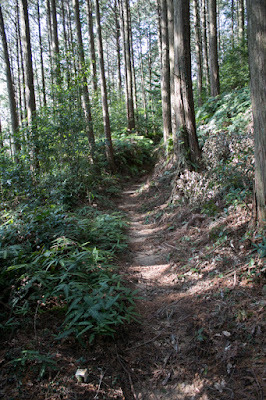 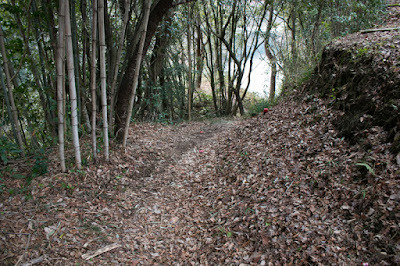 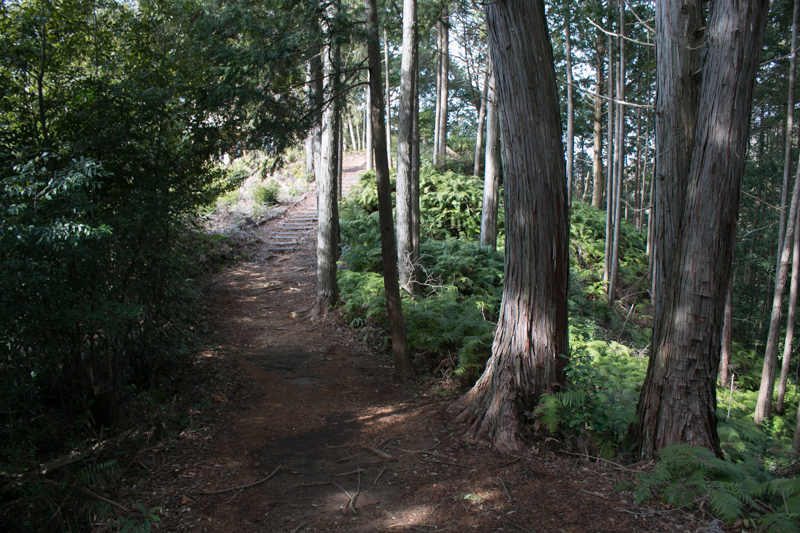 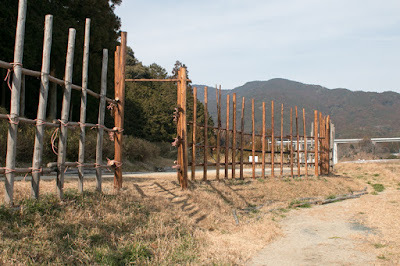 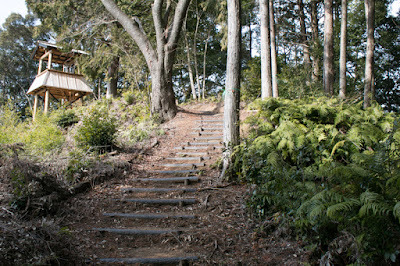 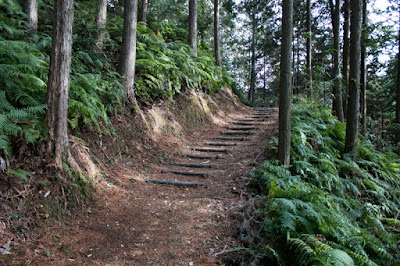 He attempted to return to castle to inform this to besieged soldiers, but on return way he was captured by Takeda army. 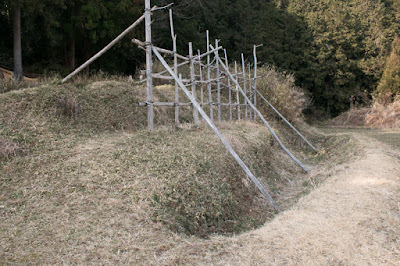 Takeda army forced him to mention there was no rescue in front of the castle and Suneemon pretended to do so, but actually he cried that supporting army was approaching to the castle. 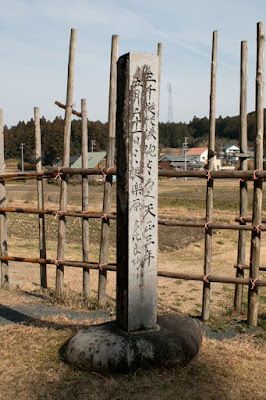 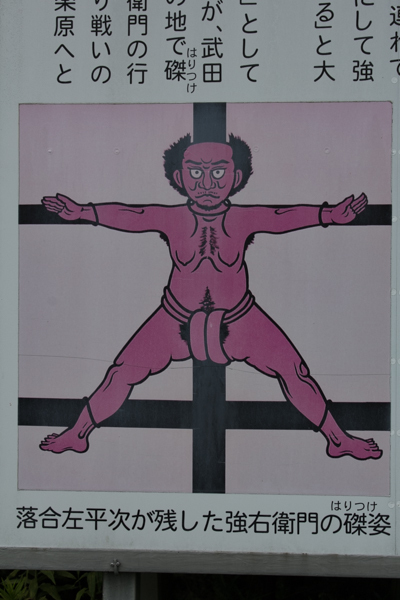 Suneemon was executed by this action, but his was praised for his loyarity, and one Takeda general draw a picture of Suneemon on the cross and used as his flag (even if he said there was no rescue, he might be killed to destroy evidence). Anyway encouraged by this information, Nobumasa and other soldiers kept the castle for two weeks and finally large army of Nobunaga and Ieyasu arrived. Katsuyori changed his army to Shitaragahara plain at 5km west of the castle and engaged, but suffered a fatal defeat by numerious musket gunners of Oda army and retreated to their territory. 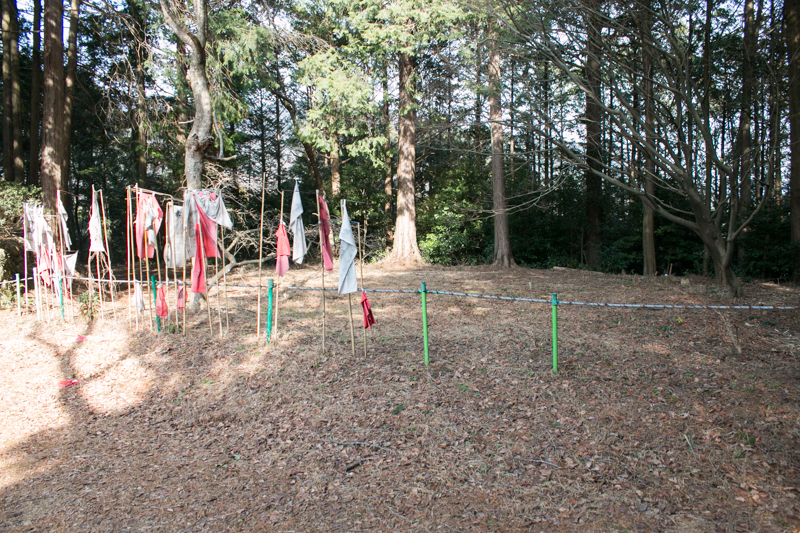 This is called as the battle of Nagashino, and this battle became a beginning of fall of Takeda clan. 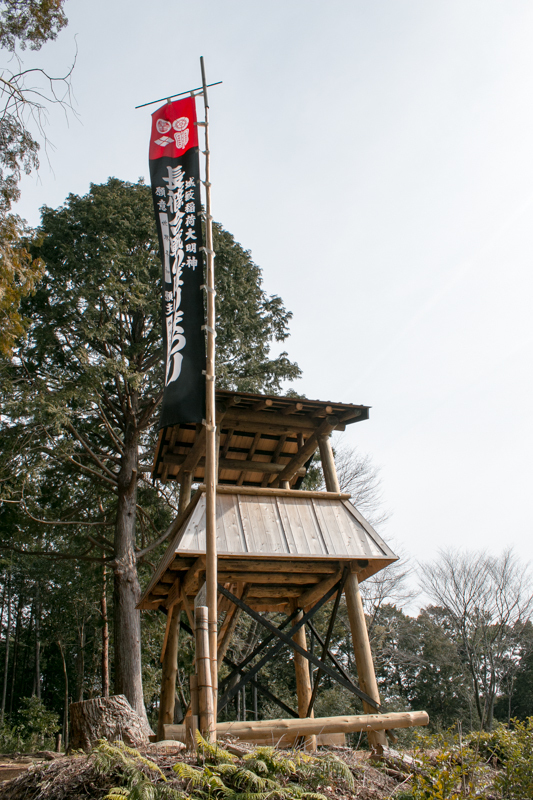 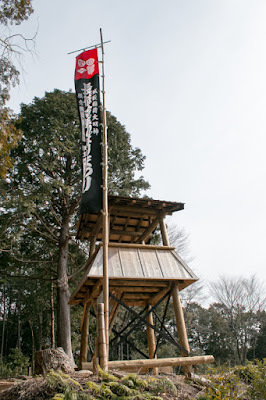 After the battle Nobumasa achieved large territory from Ieyasu and built a new castle named Shinsiro castle a little apart from this castle, then Nagashino castle was abolished that time. 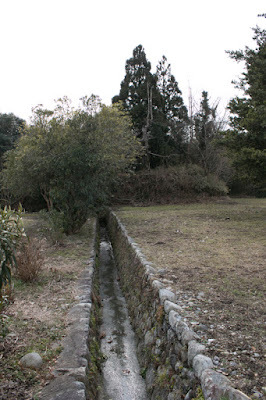 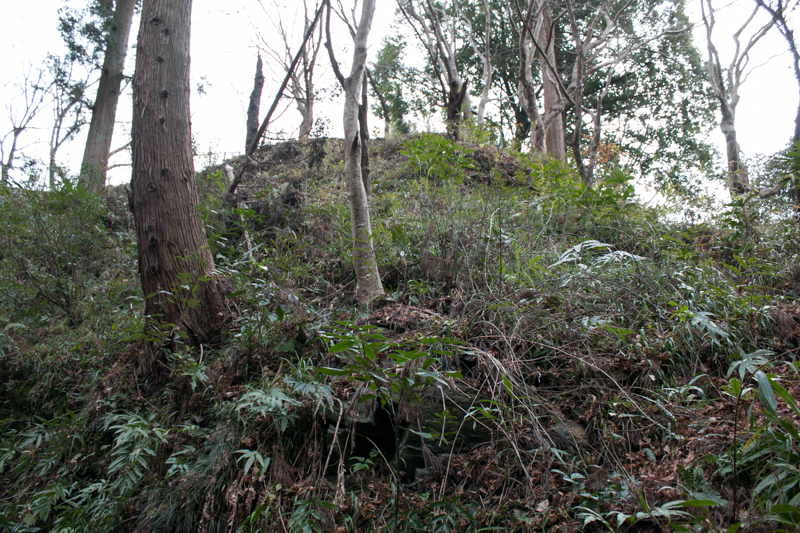 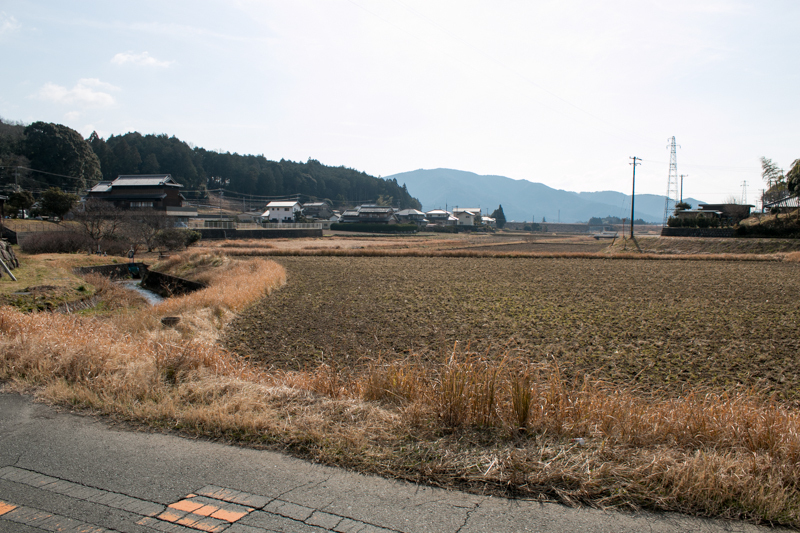 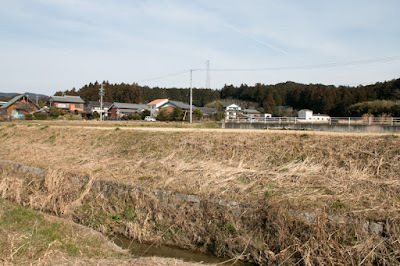 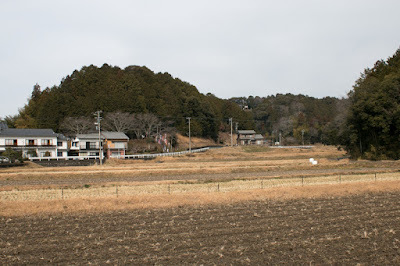 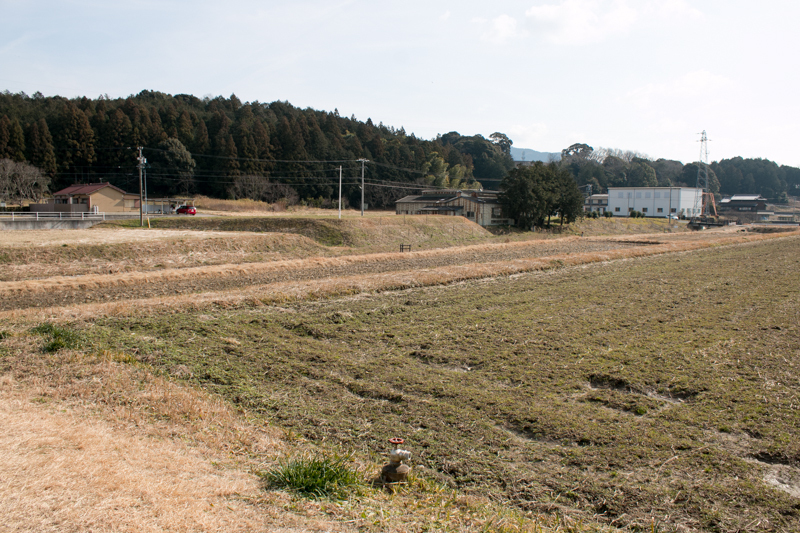 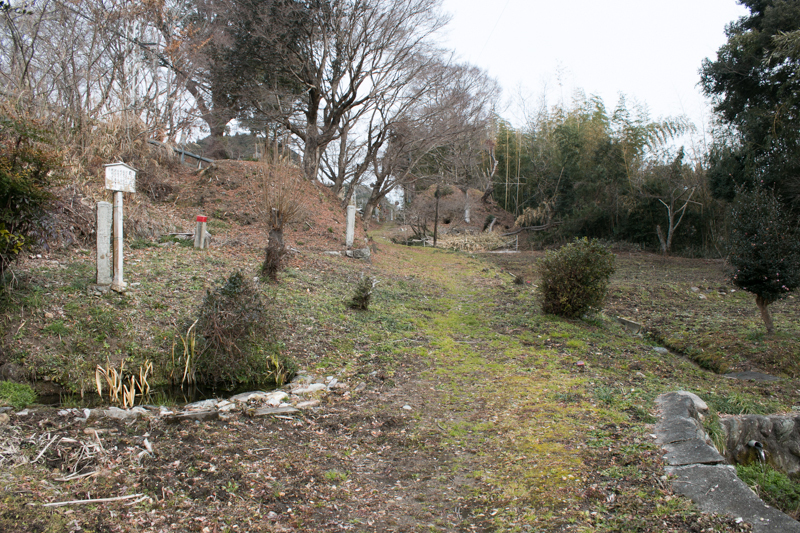 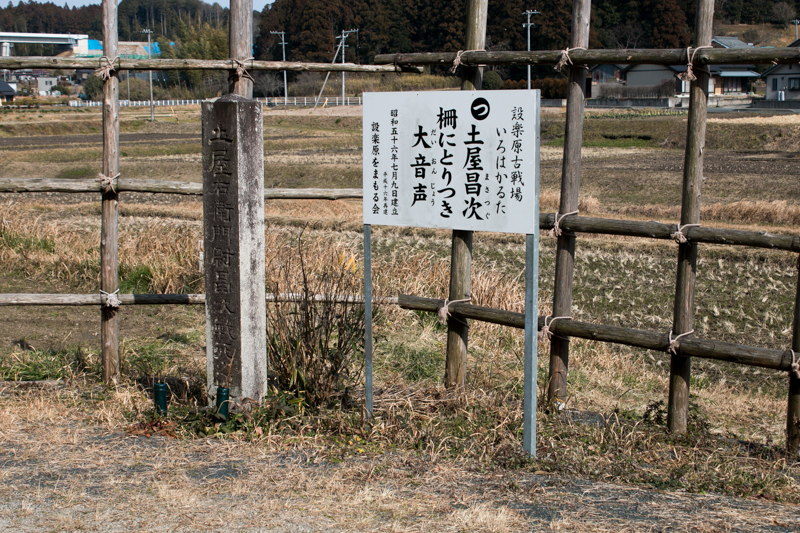 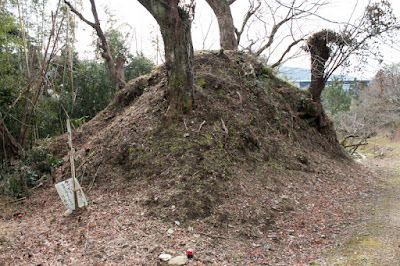 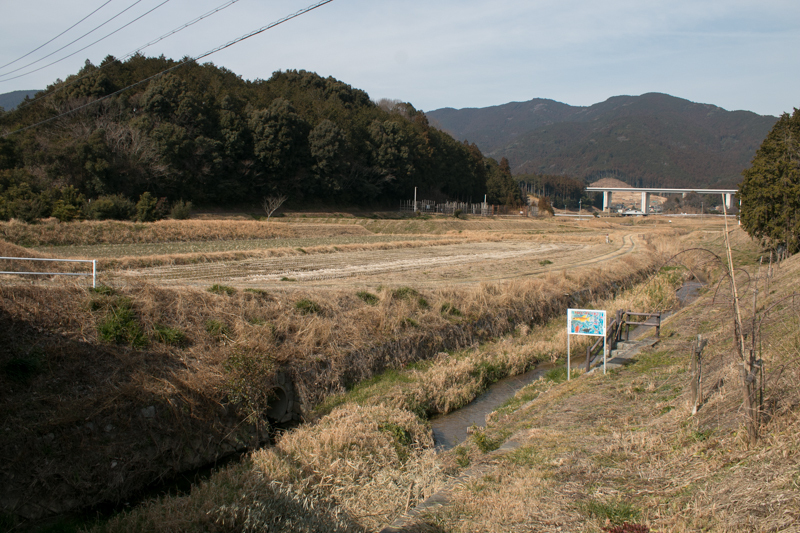 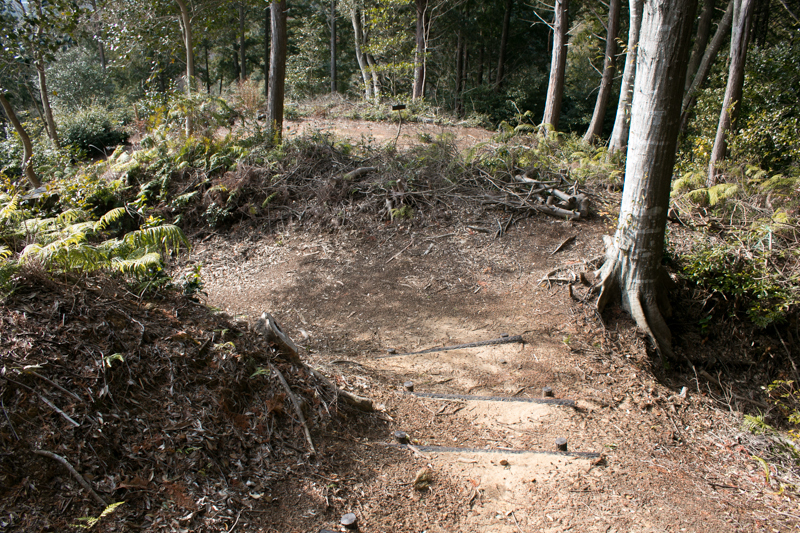 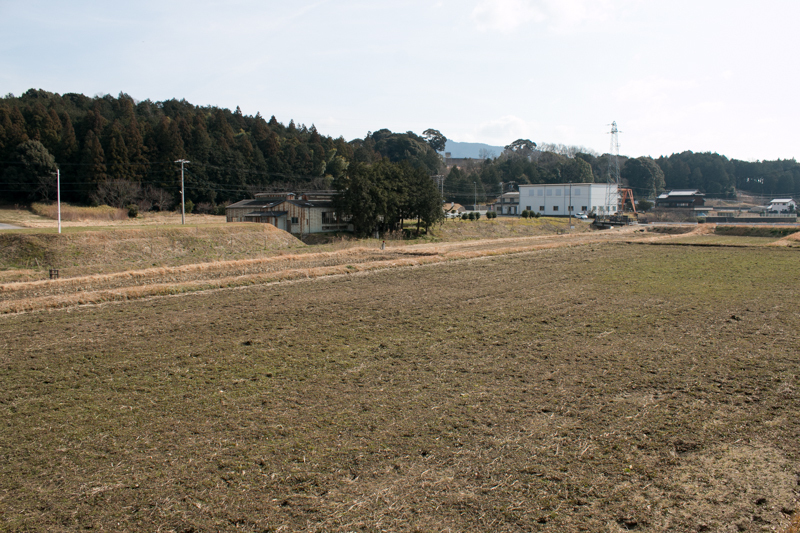 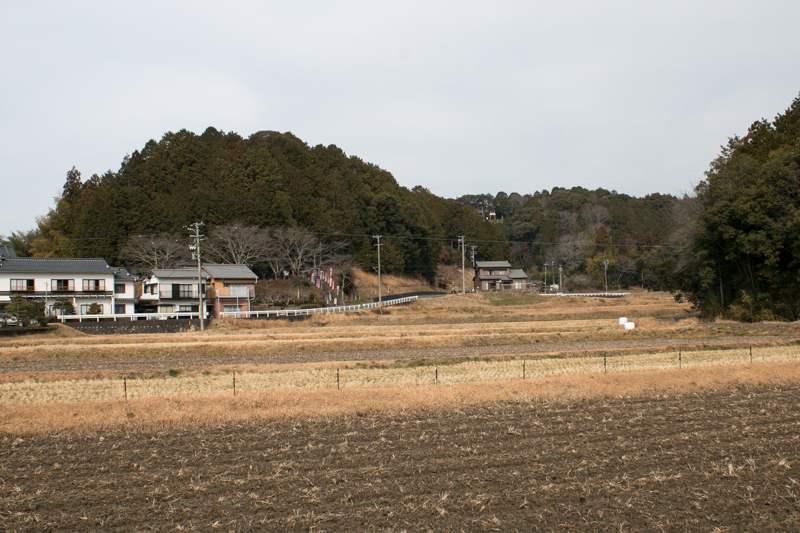 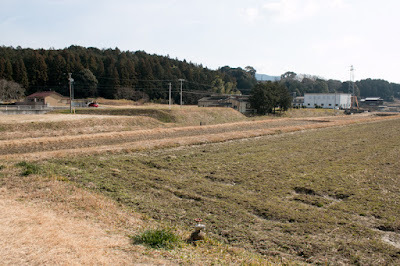 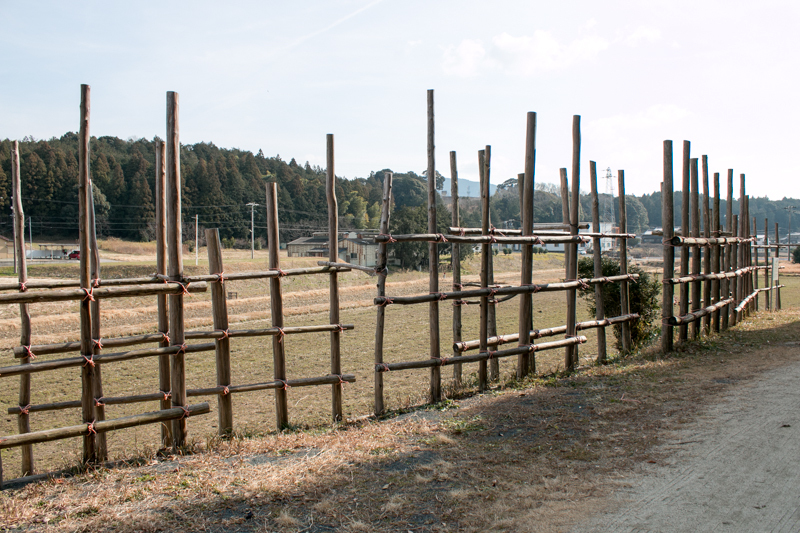 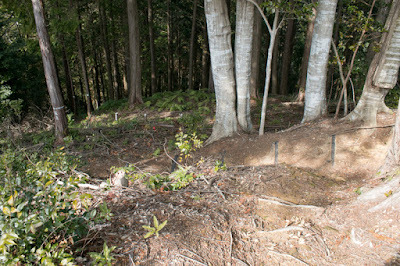 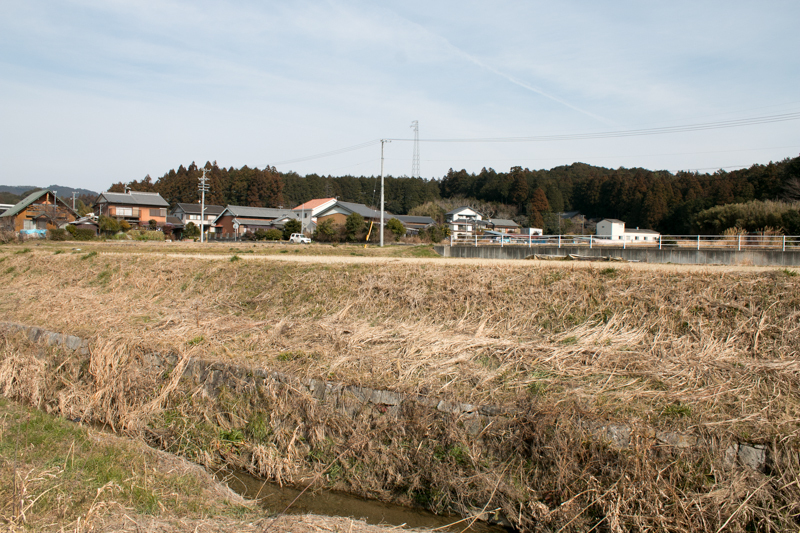 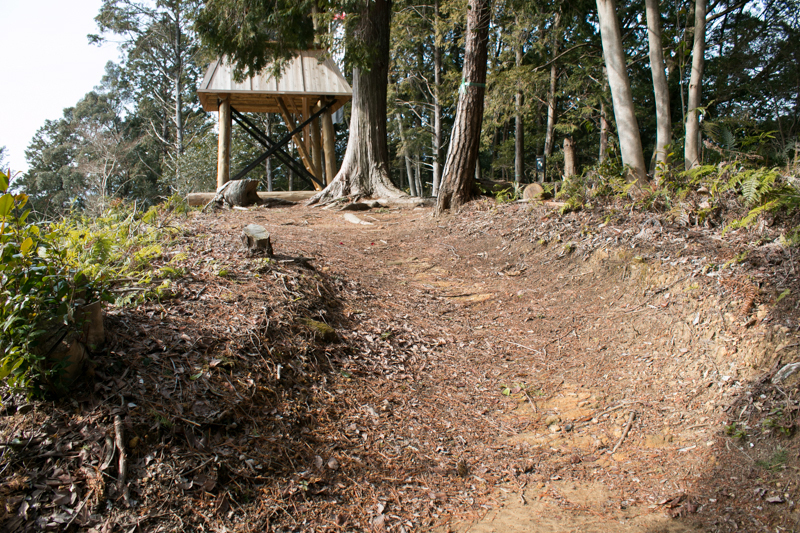 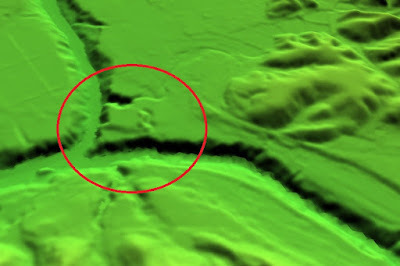 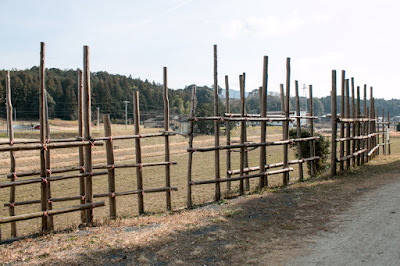 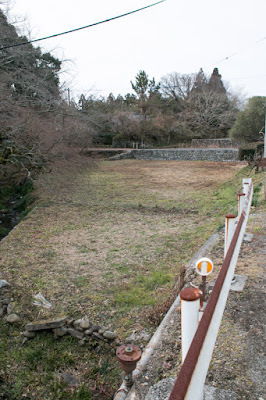 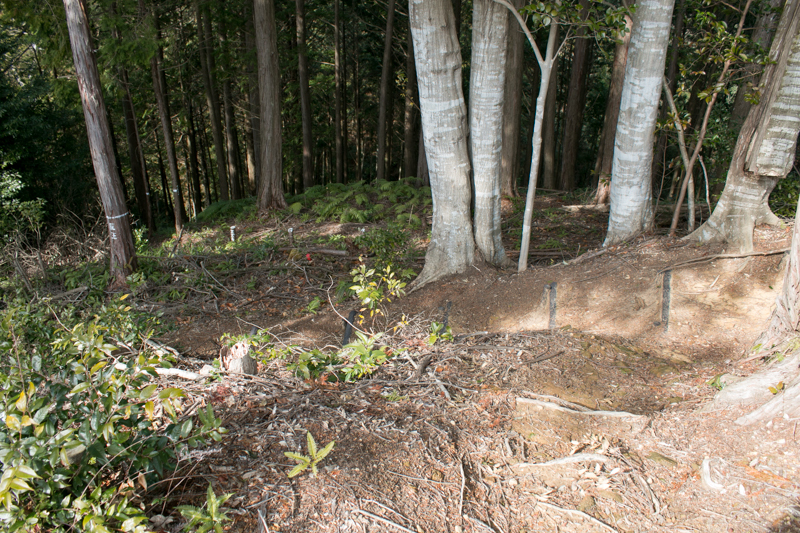 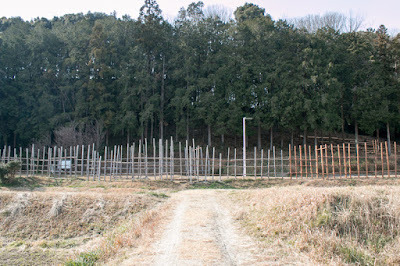 Now most part of outer area was disappeared by development, but huge clay wall of 10 meter high and wide moats surrounded central area still exist and show us strong will of Nobumasa to stop the enemy. 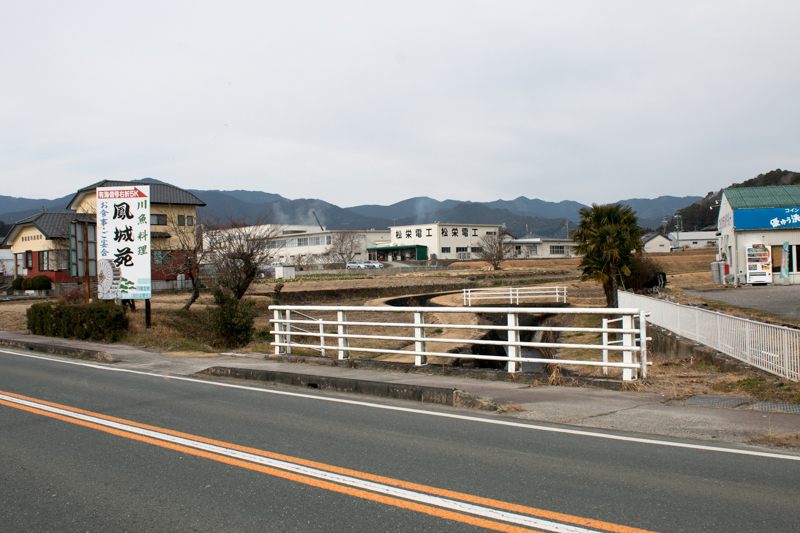 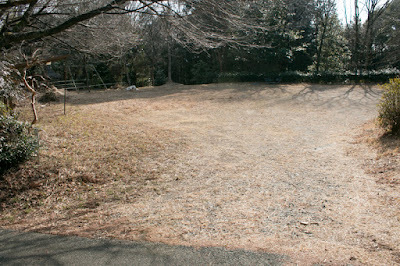 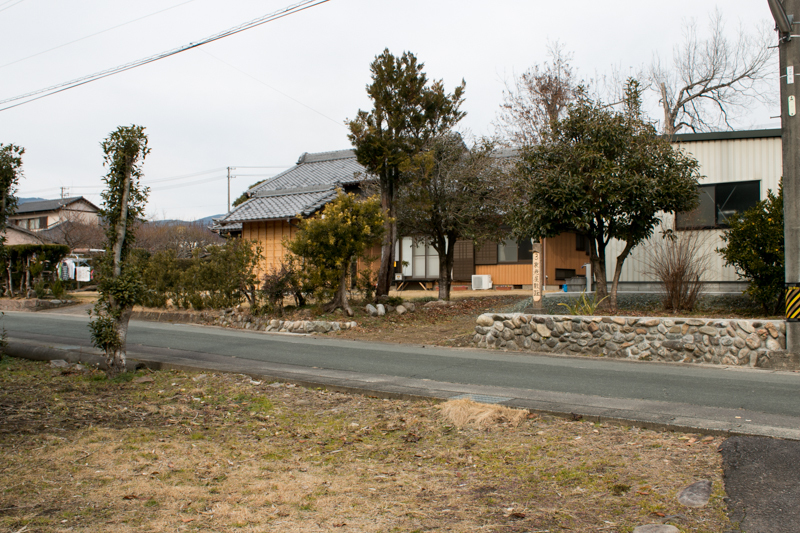 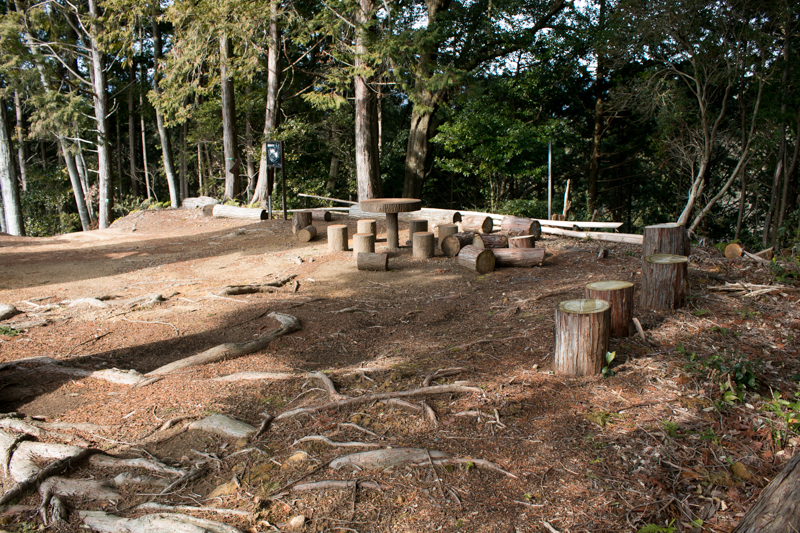 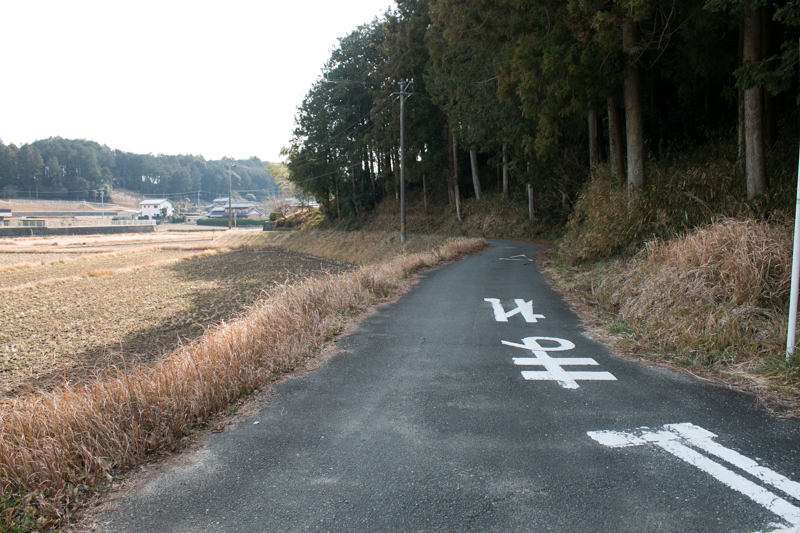 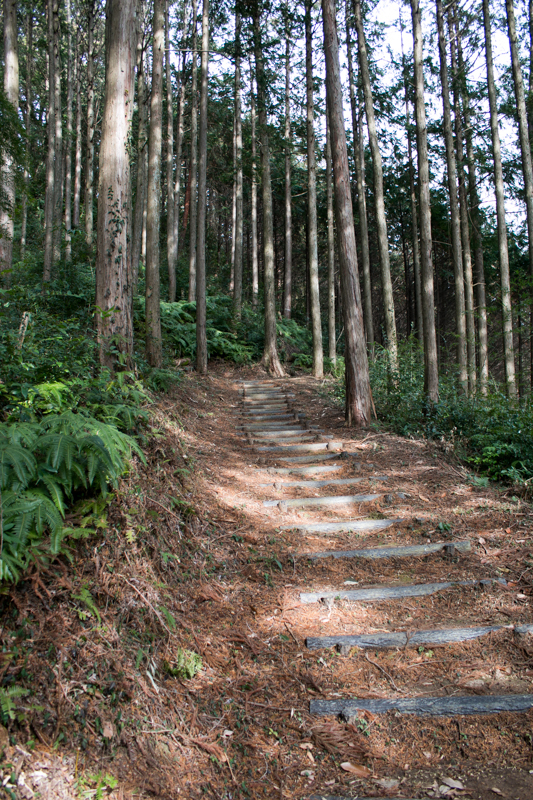 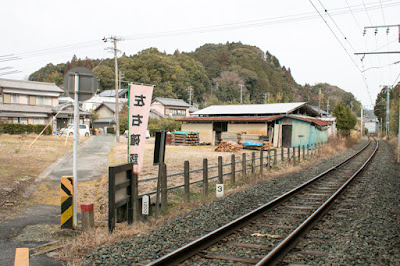 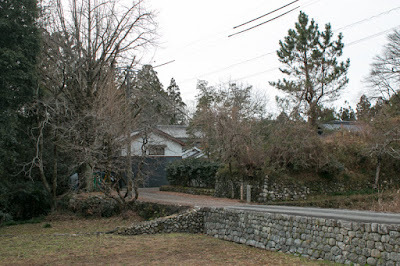 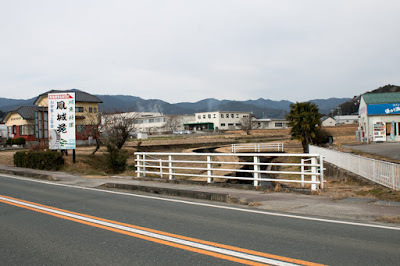 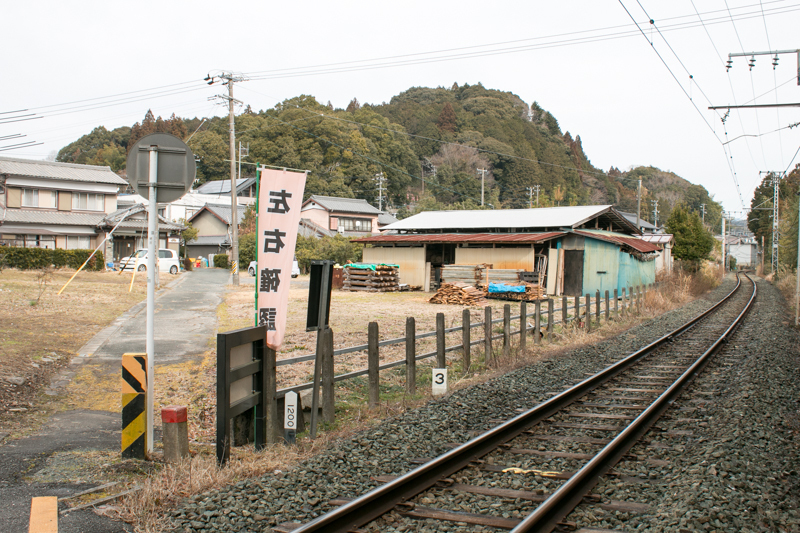 15 minutes walk from JR Central Iida-sen line Honnagashino station. 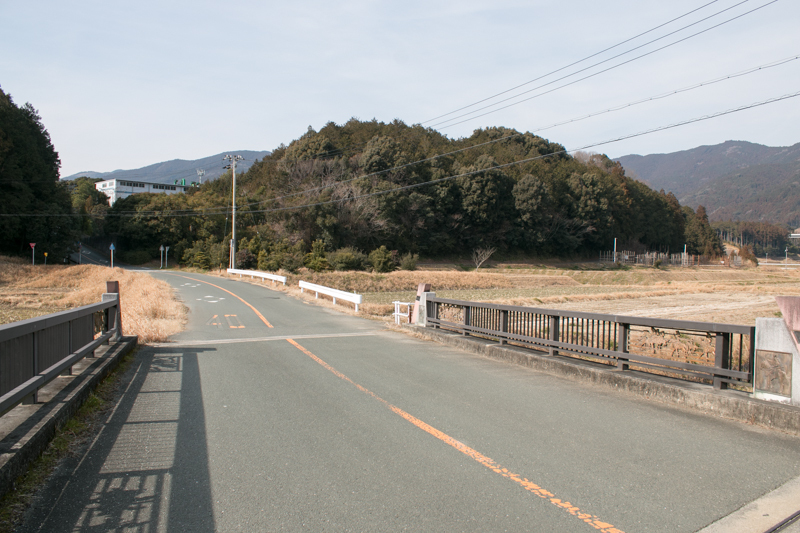 10 minutes drive from Shin-Tomei Expressway Shinshiro interchange.